Darren Grant was on a mission. The Stuarts Draft man climbed in his silver Kia Niro just before 3 p.m. on May 30 and, along with his daughter, Emma, and girlfriend, Lee Anna Ralston, hit the road. There were a few stops, all quick ones, for food and gas. And there were four stops for tradition. Three hours into the trip they stopped at the North Carolina Welcome Center. Emma jumped out of the car and posed for a photo in front of a Welcome to North Carolina sign. Then her dad posted it on Facebook, just like he does every year. They repeated the drill at the South Carolina, Georgia and Florida borders. Darren and Emma Grant in the Magic Kingdom. 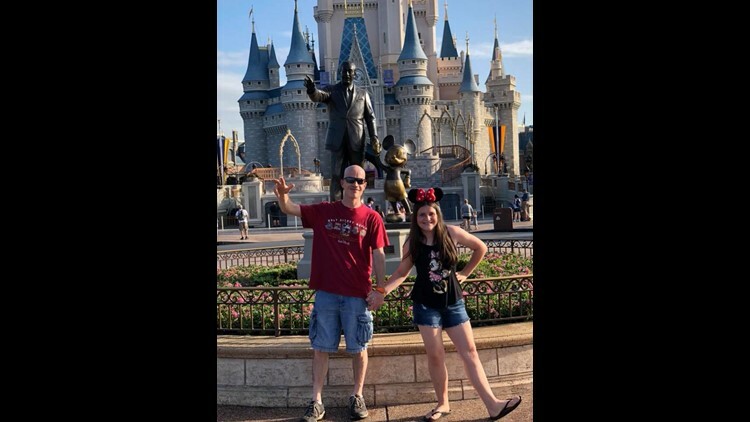 The Grants have been going to Walt Disney World every year since 2012. “Florida’s got the best vending machine coffee you can get,” Grant said. He’d know. Since 2012, shortly after school is out for the summer, father and daughter — she was 6 that first trip — have made the same annual pilgrimage. This year, Ralston joined them. Just over 14 hours and 812 miles after starting, at 5:05 a.m. on May 31, the trio reached their destination — Walt Disney World. And within two hours of arriving they were waiting outside of their hotel room for a bus bound for the Magic Kingdom. They wouldn’t return to their hotel until almost midnight. By 8 the next morning they were already in another theme park. Same for the next day. And the next. Sleep, apparently, is for wimps. These annual summer trips have been dubbed “Disney Boot Camp” by Mark Nester, one of Grant’s friends. Up early, out late, miles and miles of walking. Seven days of that in the Florida heat. But Grant wouldn't change a thing, When he's at Disney World there's not another care in the world, or at least he can place those cares aside for a few days. 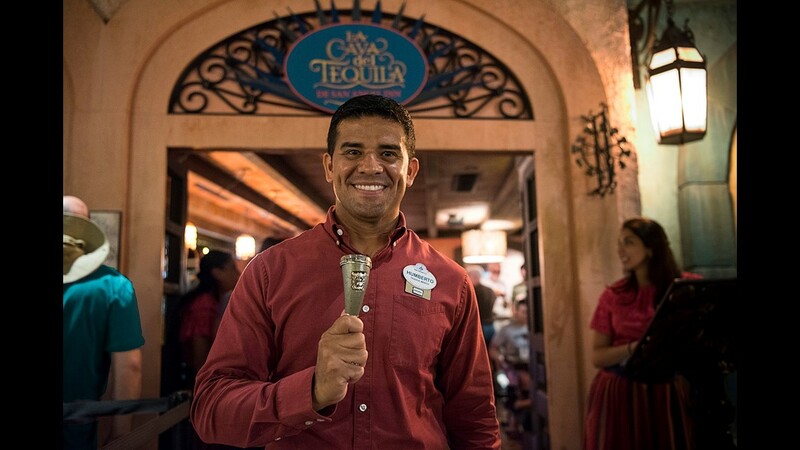 The people who work at the theme parks — Disney calls them cast members — are a big part of the reason why. "They just really know how to cater to everyone," Grant said. "And they're so patient it just makes you forget. It just makes you forget about everything. It's almost indescribable." Two years ago, with his mom in a nursing home and just a couple of months after his father passed away, Grant was struggling to deal with everything. But for a week in June he was able to escape his responsibilities in the most magical place on earth. "Even with everything you have going on in your life, when you're there it doesn't feel like it's that big of a deal," he said. "It feels like all the pressure is off of you." Emma is now 12. At the end of a long Disney day, she’s not complaining about the chance to go back to the hotel and take a dip in the pool, but she’s not complaining about the long days either. After all, that’s what her family calls vacation. 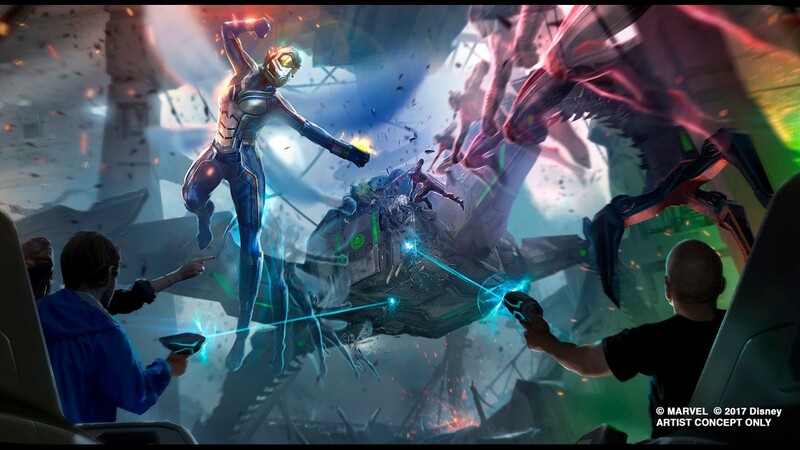 The wait to get into Animal Kingdom's Flight of Passage can be long, but the theming of the queue will make the time seem to pass a little quicker. So competitive that Testa also runs the Disney-oriented website TouringPlans.com offering step-by-step instructions on how to approach — some may say attack —Disney World. 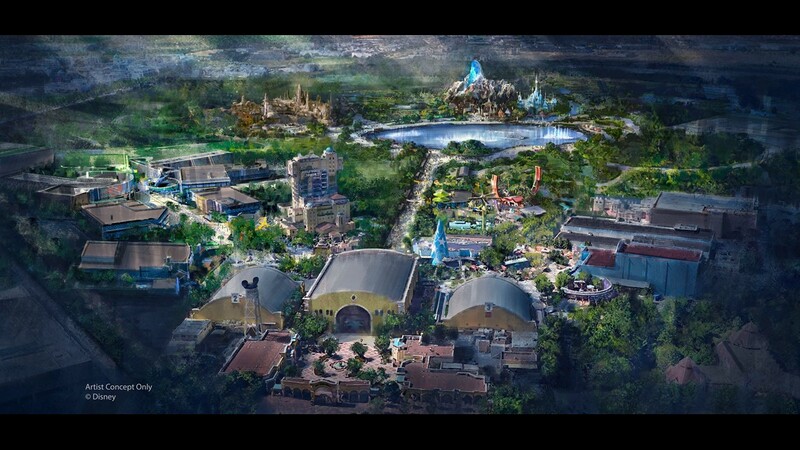 Testa provided a sample plan for Hollywood Studios, one of four theme parks on Disney World property. It’s a schedule for Wednesday, Aug. 29, 2018. 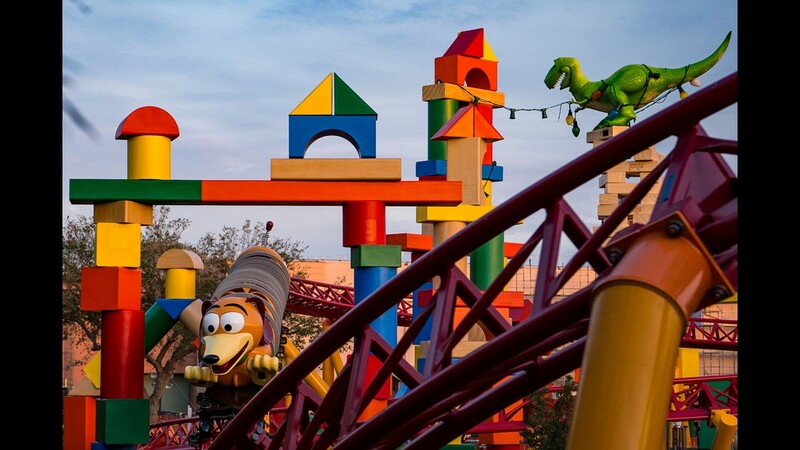 The plan has you arriving at your first ride, Slinky Dog Dash, at 9:12 a.m. Yep, down to the minute arrival times. But it doesn’t stop there. 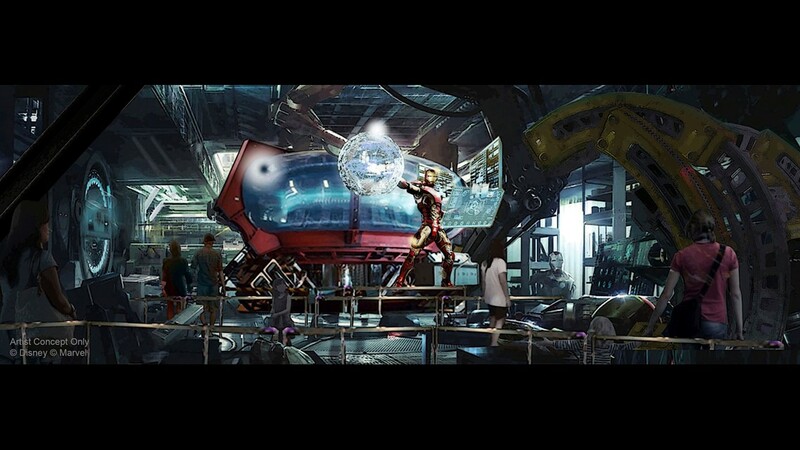 The plans tell you how long you’ll wait in line, how long you’ll be on each ride and the amount of time it will take you to walk to the next attraction. Subscribers to the site can download custom made plans or personalize their own. If down-to-the-minute scheduling doesn’t sound like a vacation to you, Testa understands. In fact, the Grants don’t use step-by-step plans once in the park. After seven trips, they know what they want to experience and have a fairly good sense of what time of day to experience them. 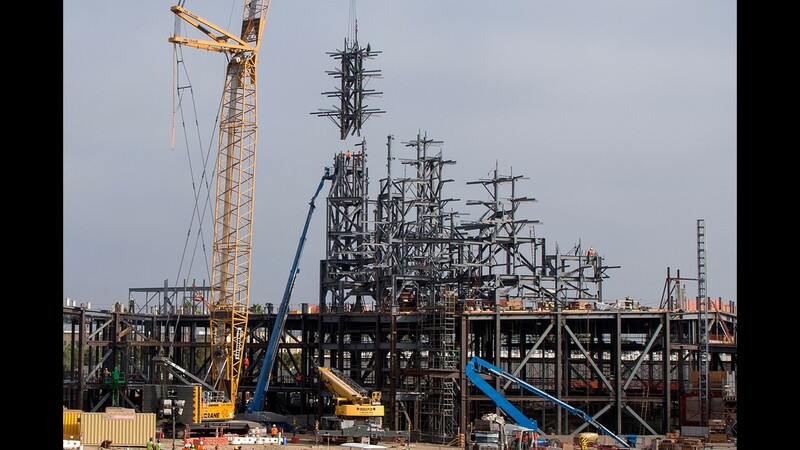 Testa points to Toy Story Land, a brand new section of Hollywood Studios that just opened. 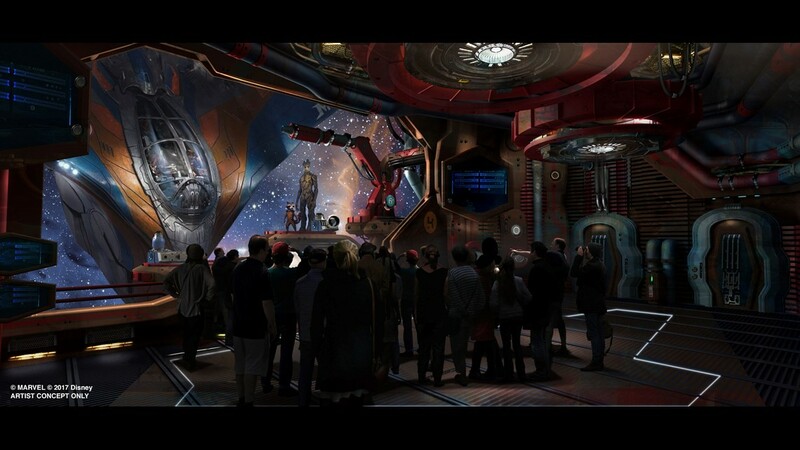 Because the Grants didn’t experience this on their most recent trip, they may have questions next summer about which of the new rides to experience first. After all, planning, at least to some extent, is almost necessary for a successful trip. Most Disney experts would tell you that. The most popular restaurants in the parks are sold out six months in advance. 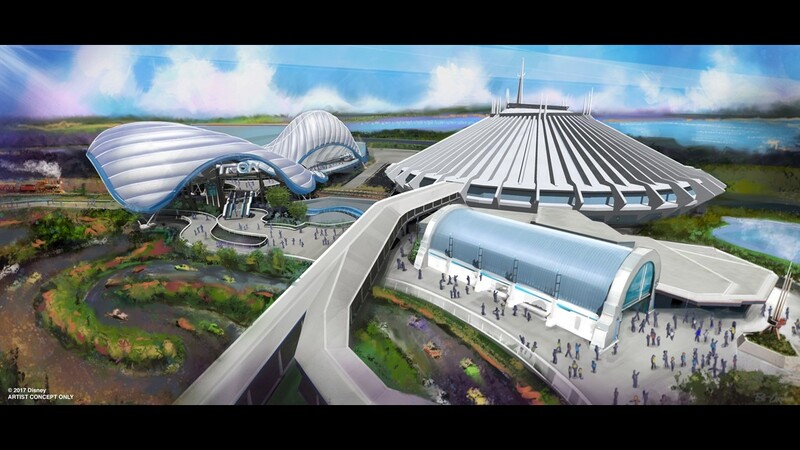 People can start scheduling their Fastpasses — think of them as ride reservations — two months before their trip. If you simply show up at Disney World with no advance planning and are hoping to ride everything and eat at the best restaurants, good luck. 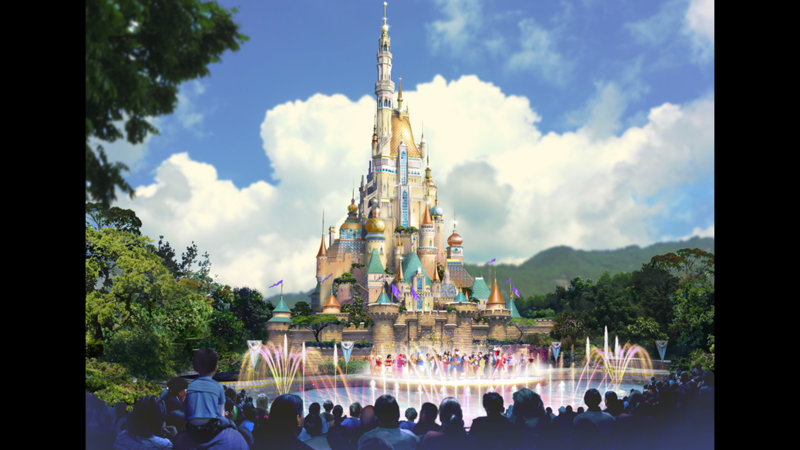 Disney World is located in Bay Lake, Florida, just outside of Kissimmee and about 20 miles from Orlando. 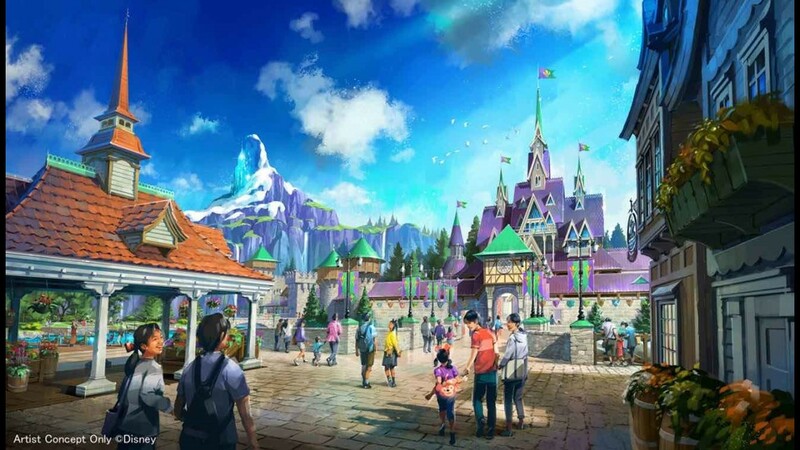 It includes, most famously, four theme parks, but also has a pair of water parks, a shopping complex, golf courses, hotels, restaurants and more. 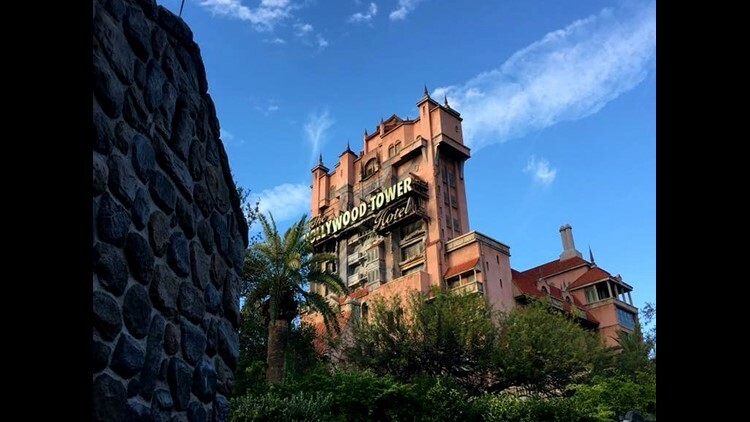 The Twilight Zone Tower of Terror is a drop tower dark ride in Disney's Hollywood Studios. 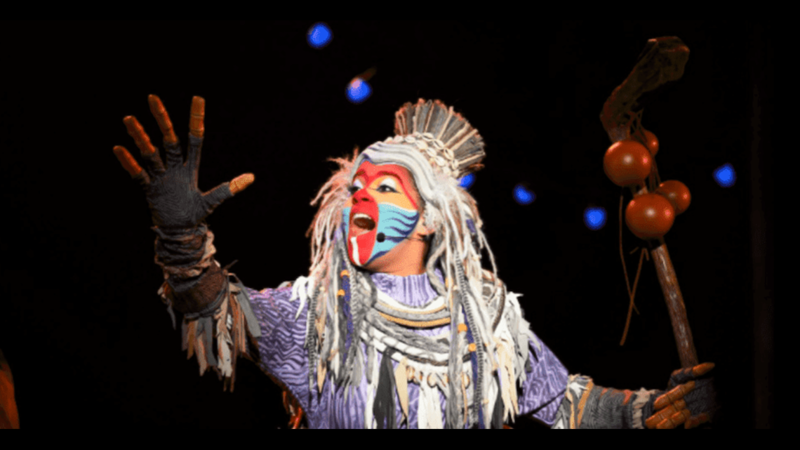 The theme parks — Magic Kingdom, Epcot, Hollywood Studios and Animal Kingdom — were visited by nearly 56 million people in 2017 per figures from the Themed Entertainment Association. 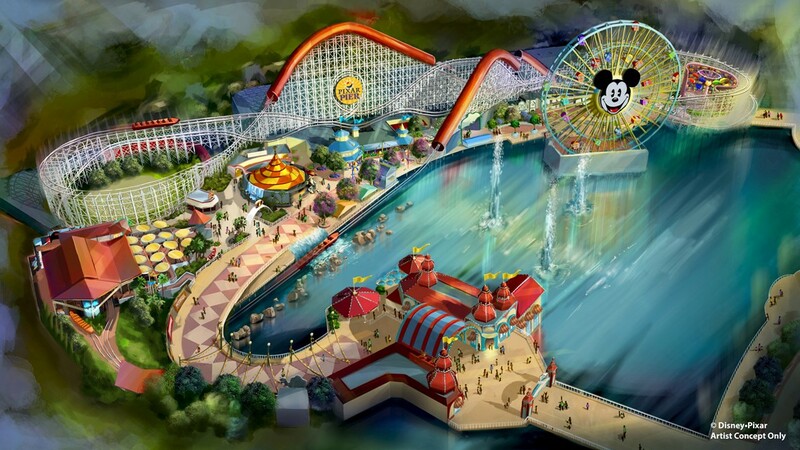 That made up four of the top nine most attended theme parks in the world and four of the top five in the United States (Disneyland Park in California is the other one on that U.S. list). 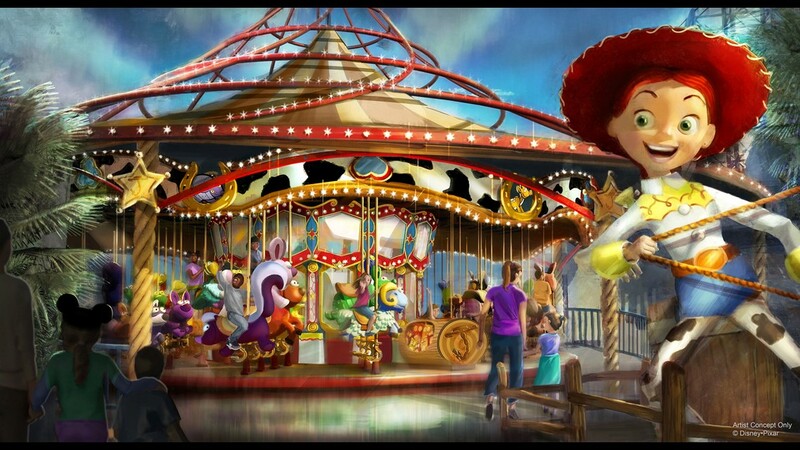 That number could increase in 2018 with the opening of Toy Story Land. 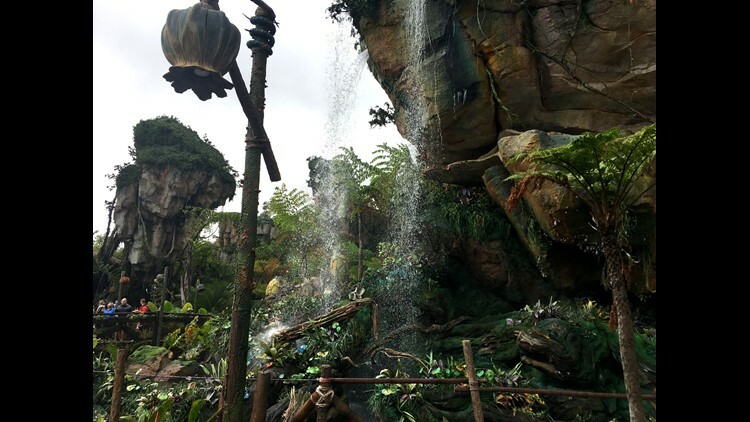 In 2017, the brand new Pandora: The World of Avatar drove attendance at Animal Kingdom up 15 percent to 12.5 million people. 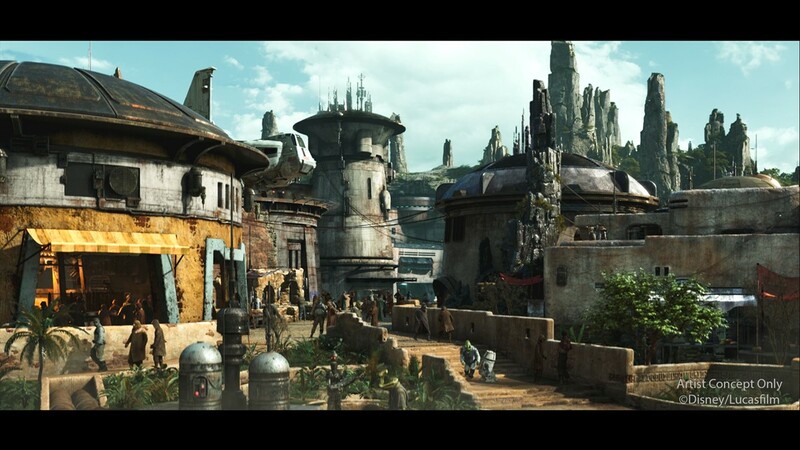 And, in late 2019, the highly anticipated Star Wars: Galaxy’s Edge is scheduled to open at Hollywood Studios. 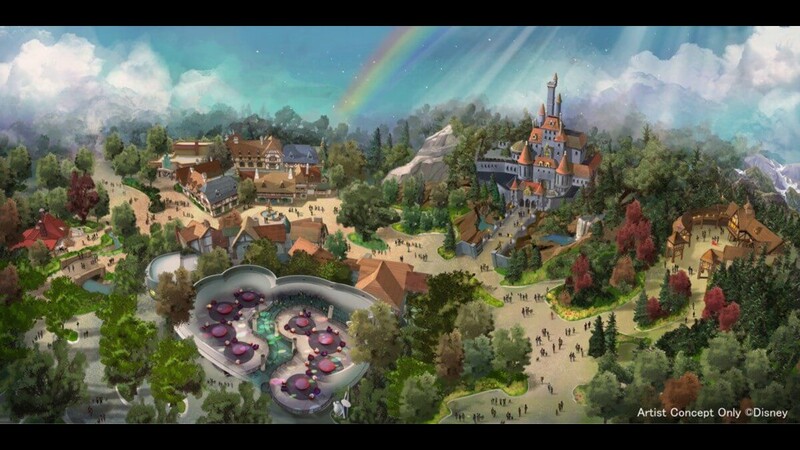 So the crowds in the parks will only be increasing. Testa is a statistician. He came up with the idea that led to TouringPlans.com on a trip to Disney. He didn’t like long lines and figured there was a better way. 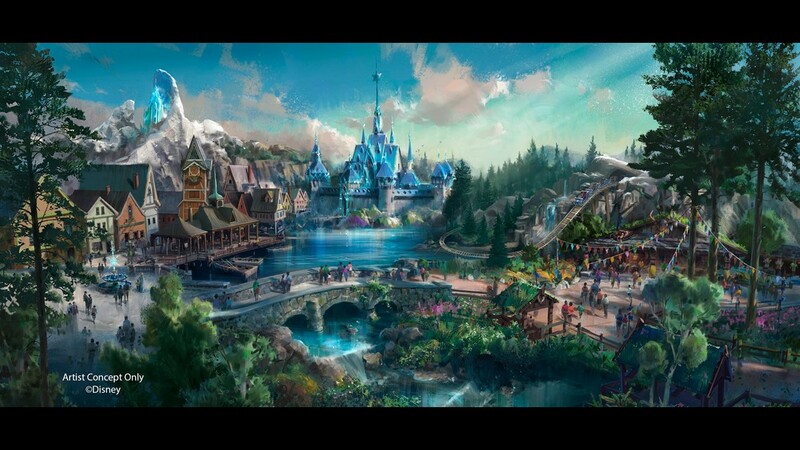 For instance, Seven Dwarfs Mine Train is one of the most popular rides. Testa said it can handle maybe 1,400 people an hour. 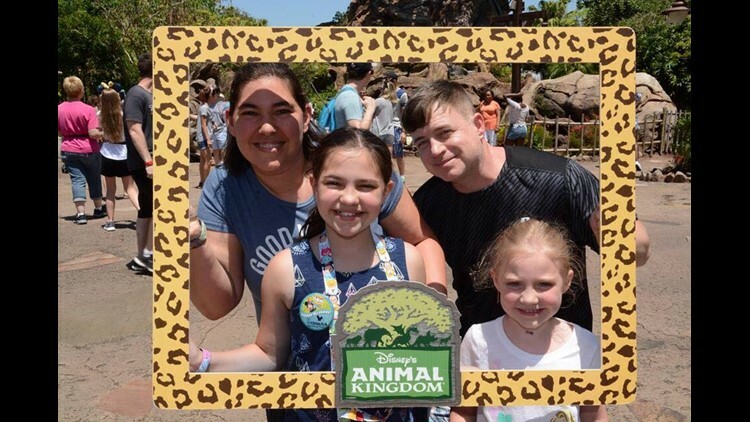 The Mongers — Crissy, Savanna, Emmalyn and Brad — spent time at Animal Kingdom on their trip in May to Walt Disney World. Two years ago on his first trip to Disney World, Brad Monger was overwhelmed, mainly by the amount of walking. There are a lot of circumstances that impact it, but a visitor in the parks could easily walk more than 10 miles a day. “Definitely you want to be prepared for 20,000 steps a day,” said Brad’s wife, Crissy Monger. The Mt. Sidney couple, along with daughters Savanna, 10, and Emmalyn, 5, returned from their second trip to Disney World as a family in May. The Mongers say a plan, even if it’s not step-by-step and more a general guide, can at least reduce some unnecessary walking. Crissy Monger left most of the planning to her husband, saying it was too overwhelming for her. How detailed of a plan? But it worked. The family got to ride almost everything they wanted. They ate at the restaurants they wanted. And they all agreed it was less stressful than their first trip two years ago that didn't include nearly as much planning. While some people swear by arriving at the parks when they open — “rope drop” in Disney terms — others aren’t willing to sacrifice sleep for shorter lines. It also helped that they went in May. Time of year definitely affects crowd levels. 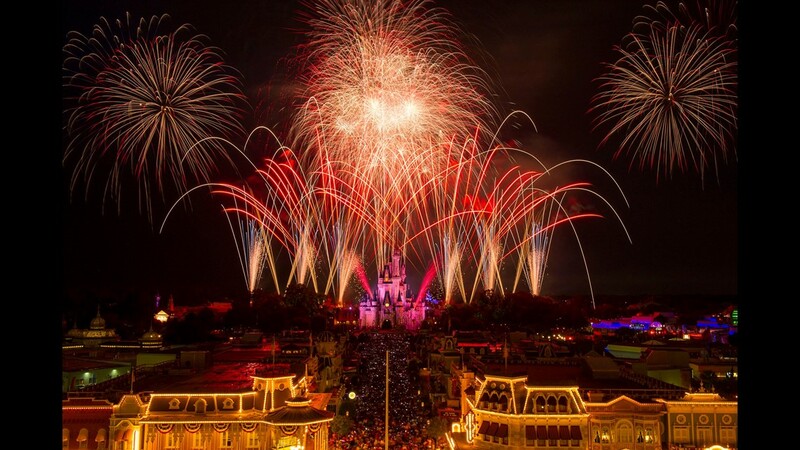 Summer time and major holidays — especially Christmas — bring the highest number of people to Disney World. 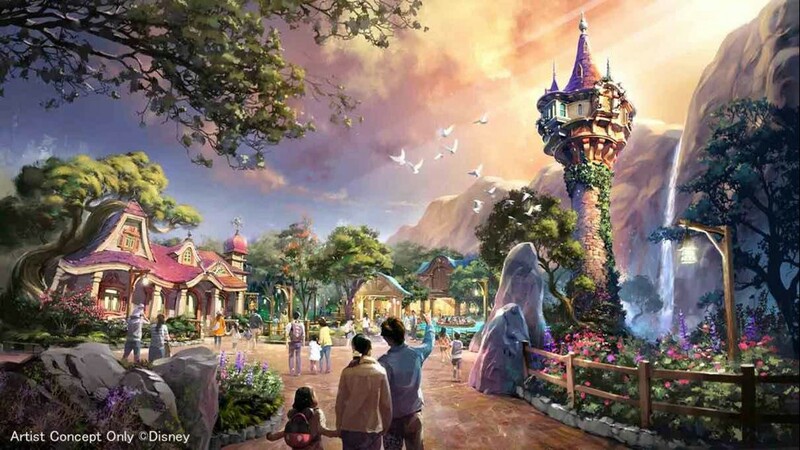 To make a plan or not is hardly the only decision to make when heading to Disney World. 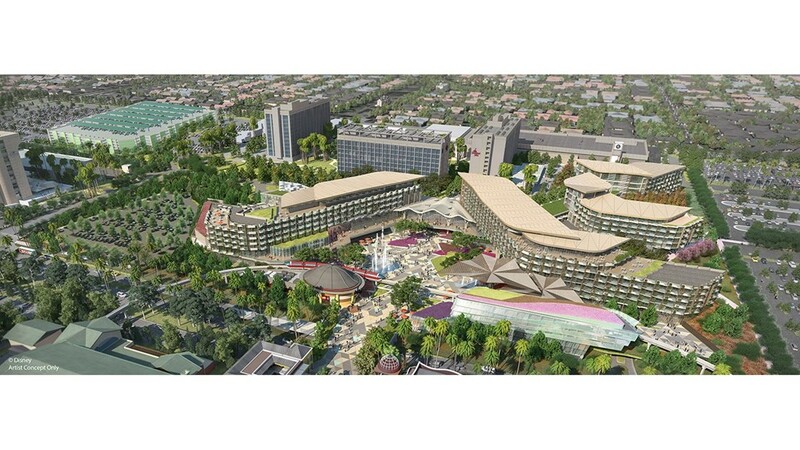 Do you stay at a Disney-owned hotel or off Disney property? 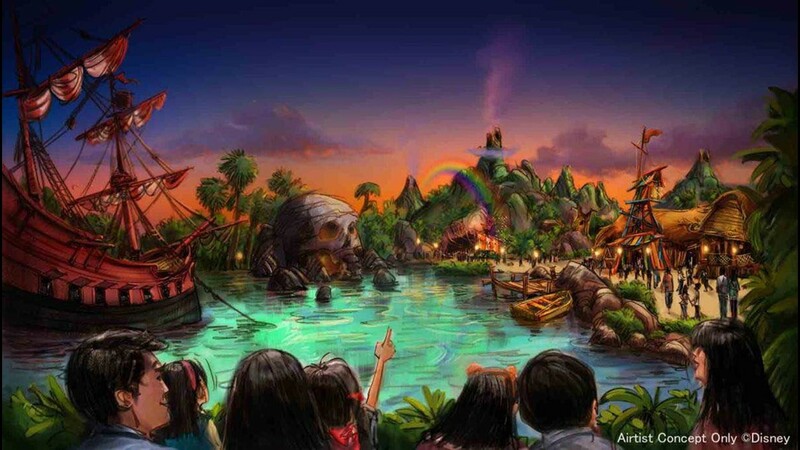 How many days will you spend in the theme parks? 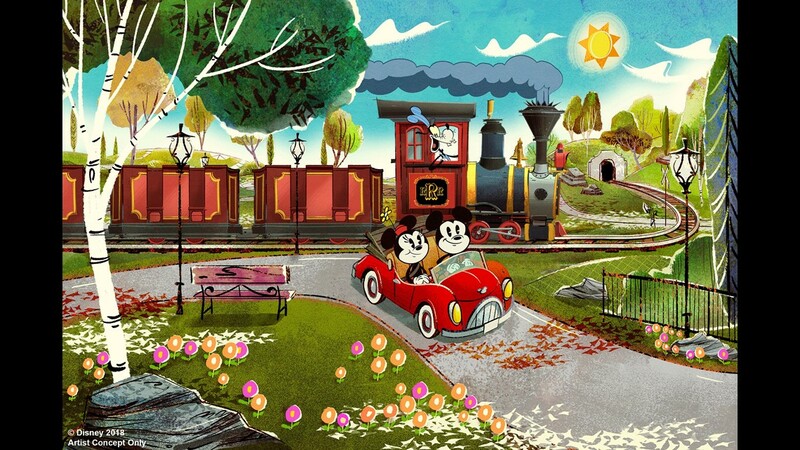 Do you want to visit more than one park a day? Where will you eat? 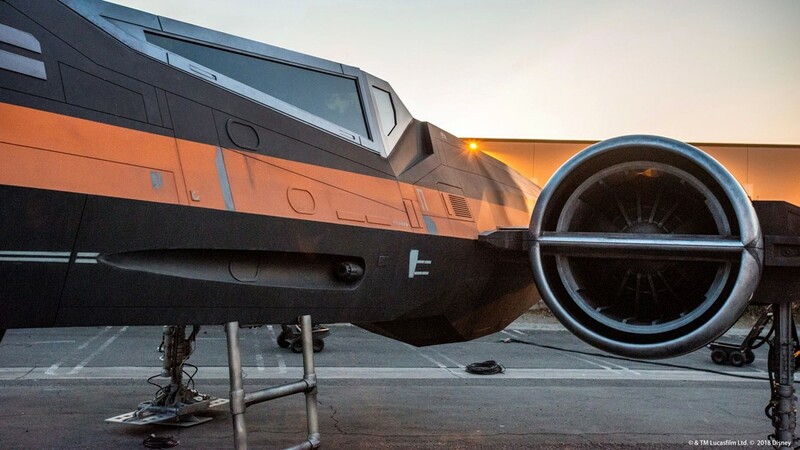 Will you fly or drive? 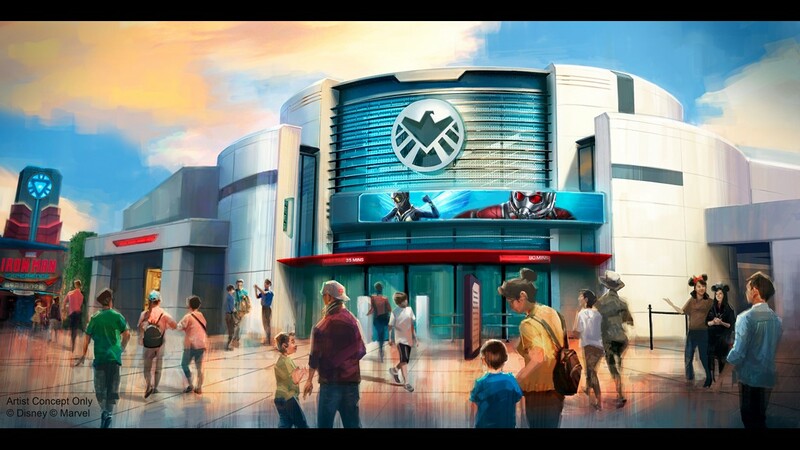 On top of that, Disney occasionally changes its operating hours weeks or days in advance, opening earlier at one park or staying open later at another. And there are deals being offered that, unless you are constantly monitoring Disney’s website, you won’t know about. Beth Elcox has been going to Disney World since she was 12. 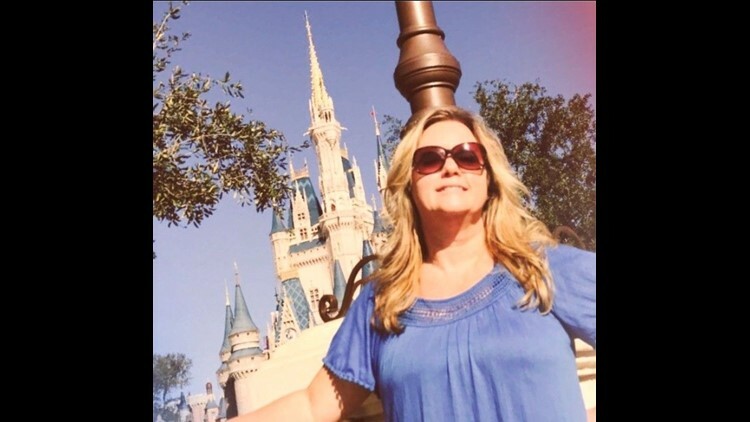 Now the Staunton woman is a travel agent specializing in Disney. That’s where someone like Beth Elcox can help. The Staunton woman first went to Disney World when she was 12. Her family went about every other year after that. She’s continued that with her own kids. Even upped the game. Her oldest daughter, Alexis, is now 19. 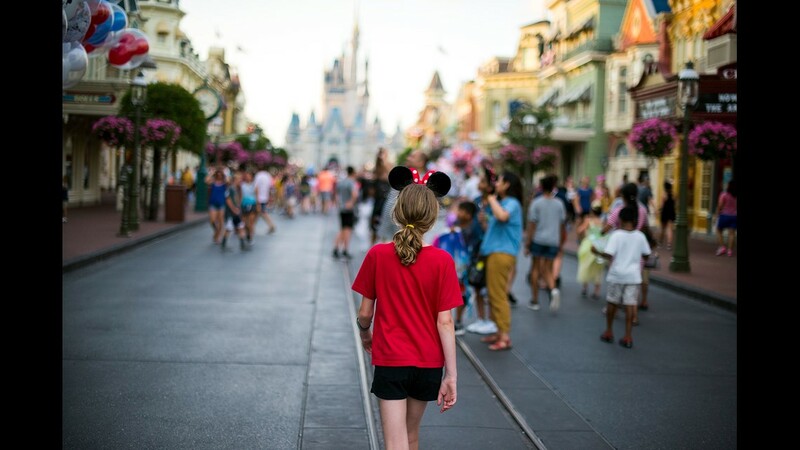 Since she was 3, the family has made 14 trips to Disney. 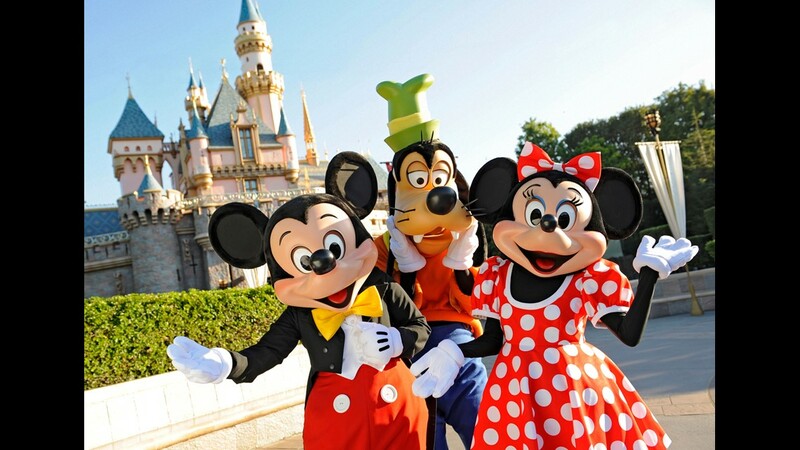 A little over a year ago, Elcox joined Coasters & Castles Travel as a travel agent specializing in Disney. 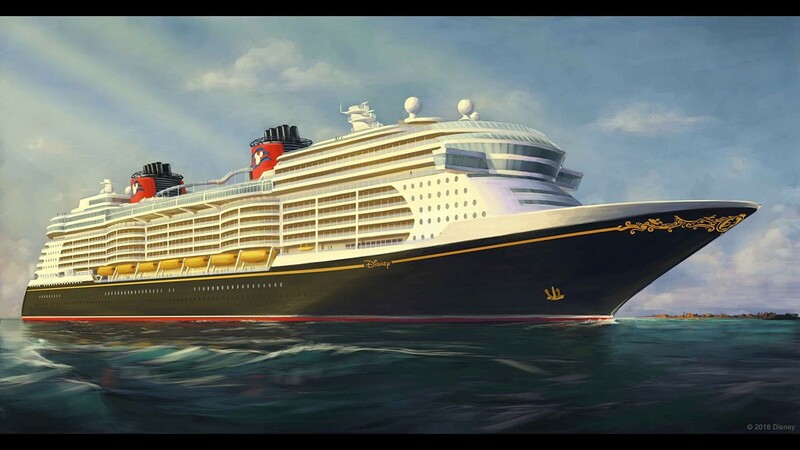 She can help her clients not only with Walt Disney World, but anything Disney related, including cruises, Disney’s guided travel groups and any of the Disney theme parks around the world. Elcox started as an agent so she could help others experience the place she loves so much. She helps with everything from explaining what there is to do and see at the parks to setting up fastpasses to getting dining reservations. She also helps with managing the expense of Disney, including watching for discounts that are available. Costs vary so much. 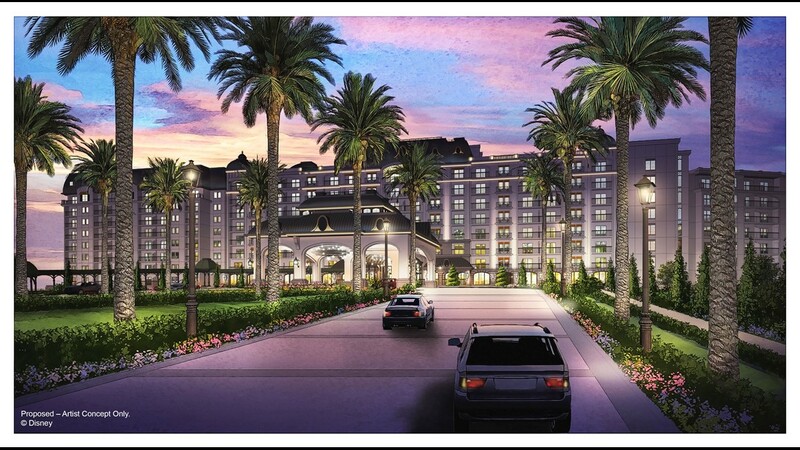 According to the 2018 edition of “The Unofficial Guide to Walt Disney World,” the price for Disney-owned resorts (“on property” in Disney terms) starts at around $100 per night at the value resorts, the lowest of the three tiers Disney assigns to its resorts. That price is for a weeknight during the off season. 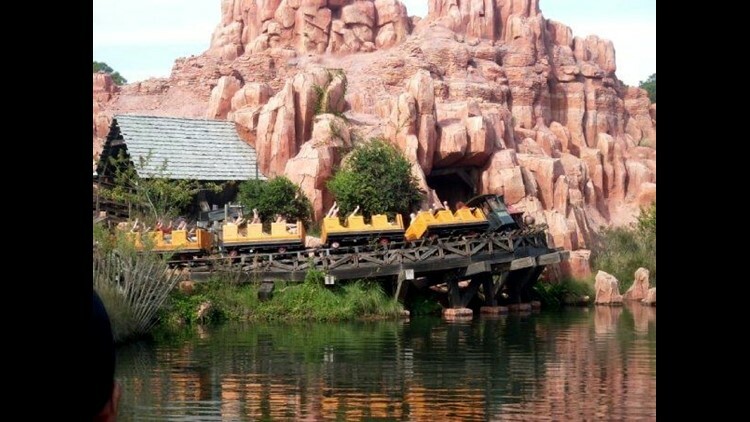 Big Thunder Mountain Railroad is a roller coaster set in the Magic Kingdom's Frontierland. 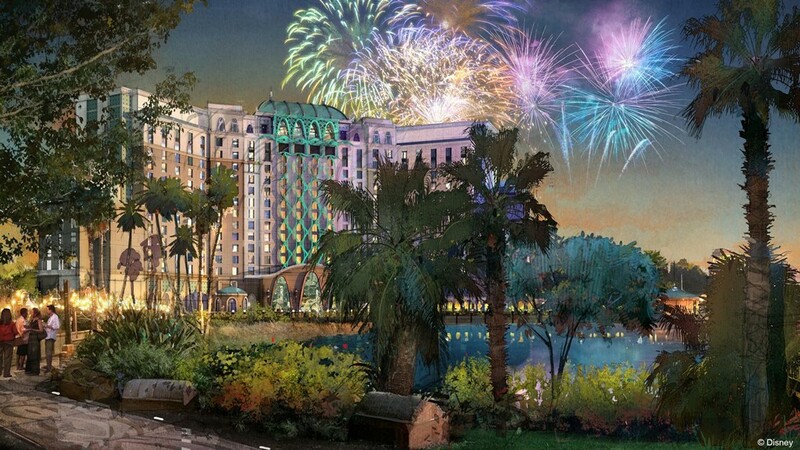 Prices can go as high as $1,600 a night at the Disney deluxe resorts during the holidays. That’s rack room costs, meaning there are deals available, something Elcox and other travel agents can help with. Allison Stein has made the trip to Disney World many times with her husband and their 4 1/2-year-old granddaughter. On the most recent trip, their children flew down and met them. Most of the time the family, who lives near Dooms, stays at Port Orleans, which Disney considers a moderate resort. 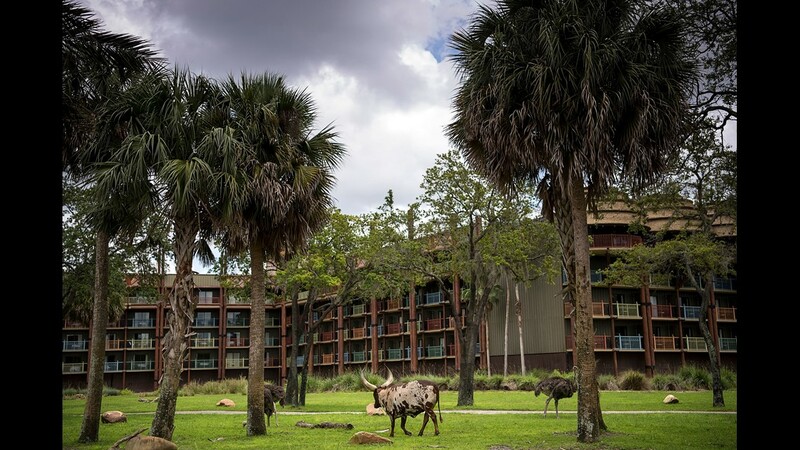 But on a recent trip they did stay at one of the deluxe resorts, Disney’s Polynesian Village. One advantage for the Polynesian, like many of the deluxe resorts, is proximity to the theme parks. The Polynesian is one of three resorts with monorail access. 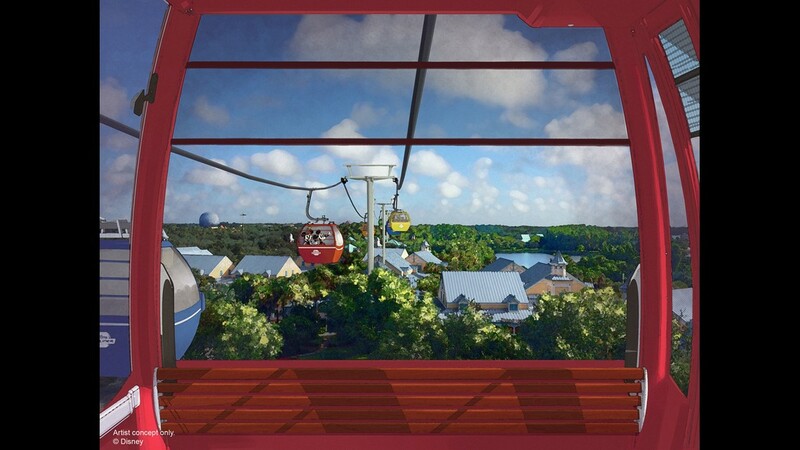 You can walk outside of the hotel, get right on the monorail and ride to the Magic Kingdom or Epcot. There’s also boat service available to the Magic Kingdom. 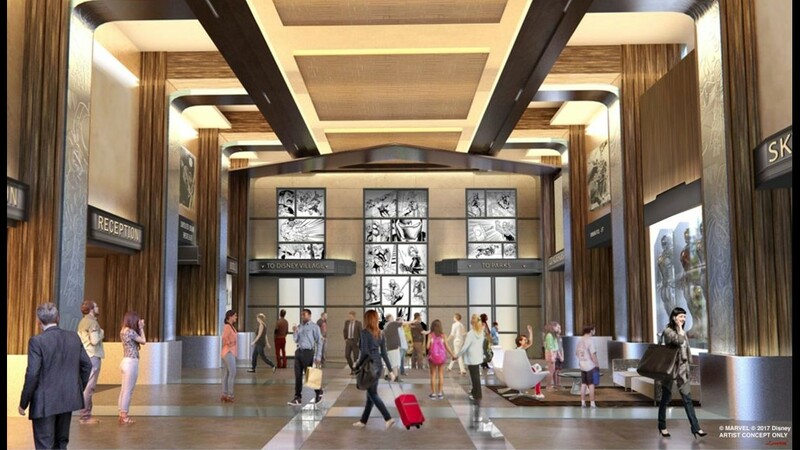 Off-site hotels are less expensive, but don’t come with many of the perks that staying at the Disney-owned resorts have. 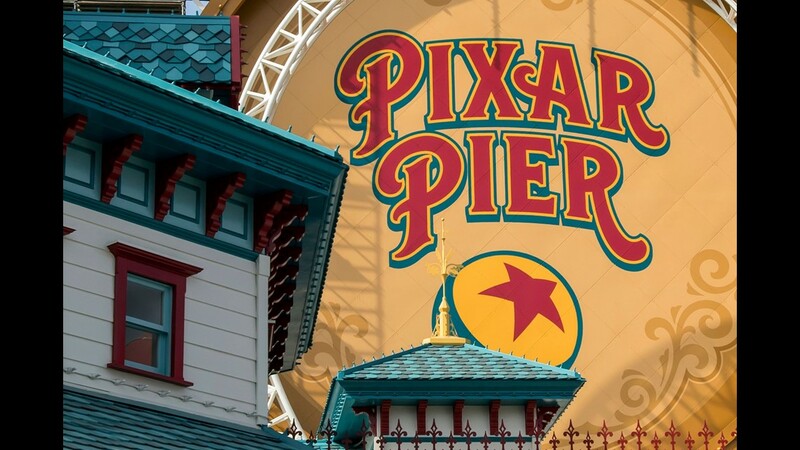 Those perks include free bus transportation to and from the theme parks; earlier access to Fastpass reservations; and Extra Magic Hours, which provide guests with additional time in the parks. 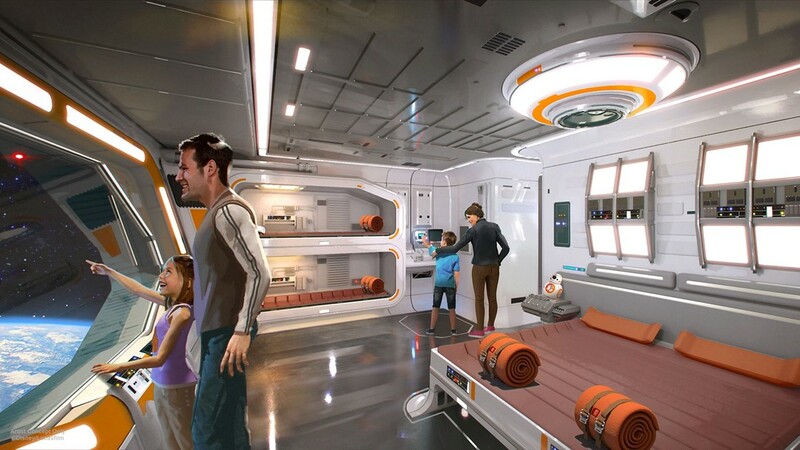 And there are other costs associated with Disney. 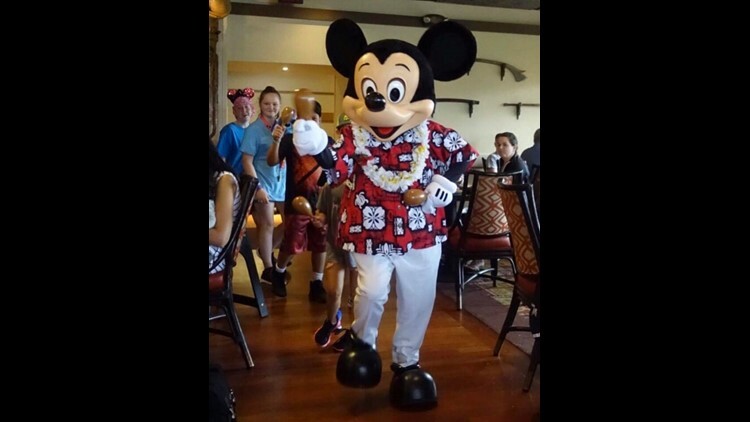 Mickey Mouse in the conga line at the 'Ohana restaurant in Disney's Polynesian Village Resort. That’s another tradeoff. If you want the experience of dining wth characters, you’ll pay for it. The Mongers ate at the Akershus Royal Banquet Hall in Epcot. There you can meet princesses, including Belle from Beauty and the Beast, Cinderella and Snow White, among others, while you eat. The Mongers also did a character breakfast at Ohana’s in Polynesian Village. 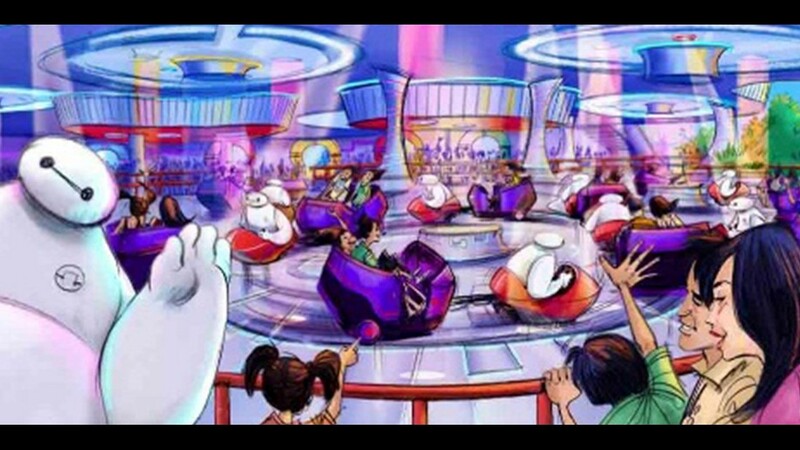 It runs about $34 per person for adults, a little less expensive for children. But the family also tried to limit themselves to one big meal per day in the parks. The rest of the time they ate snacks that they brought into the parks, something that Disney surprisingly allows. That helped save some money. 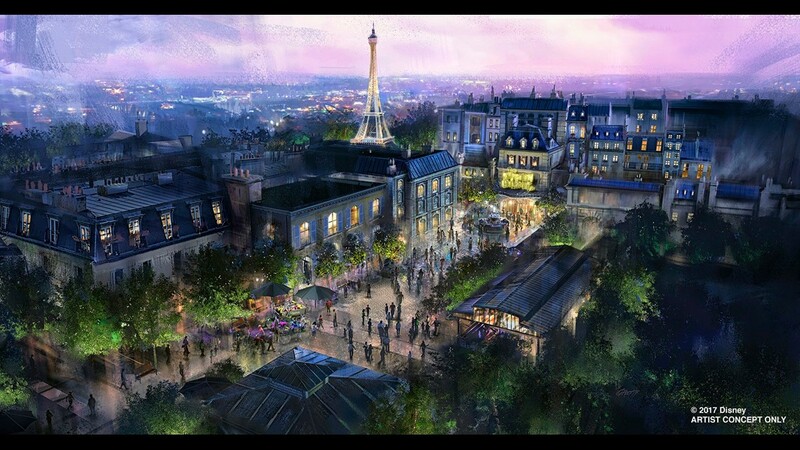 Darren Grant, on the other hand, goes with Disney’s dining plan. 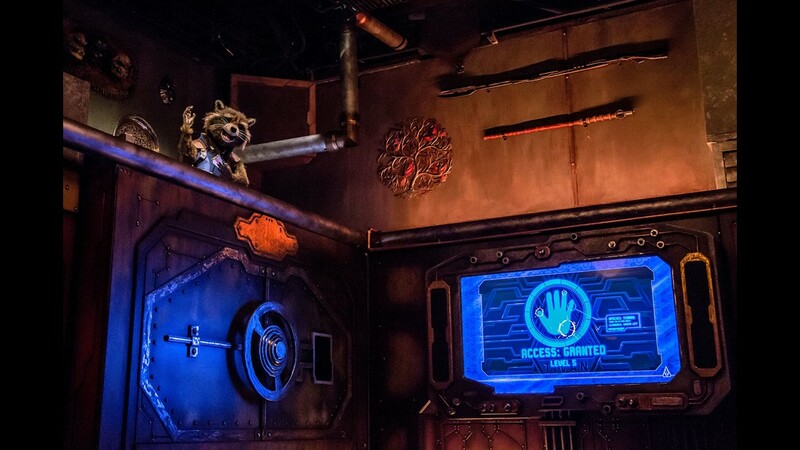 He estimated it runs about $15 per person and, on the most recent trip, they didn’t do any meals other than what Disney calls quick service, essentially fast food in the parks. You lose the atmosphere, and maybe some quality, but you make up for it in time and money saved. Elcox estimated a family that drove to Disney, stayed off site, limited the amount they ate in the parks and spent maybe three days in the parks, could do it for around $1,500. Of course, adding to any of that drives the prices up, sometimes way up. 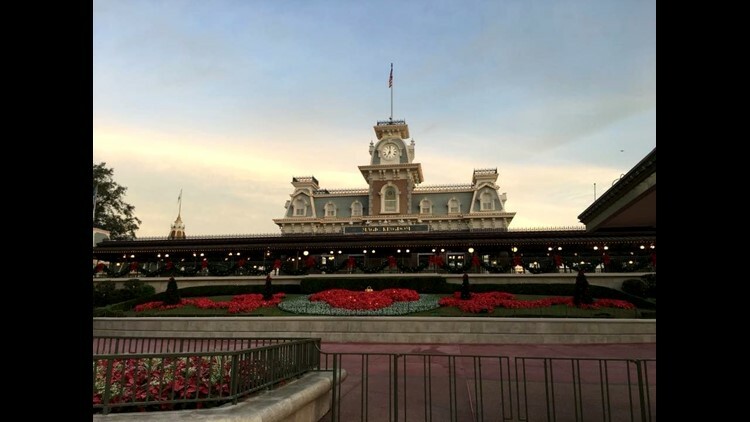 For some families, a trip to Disney is a one-time deal. 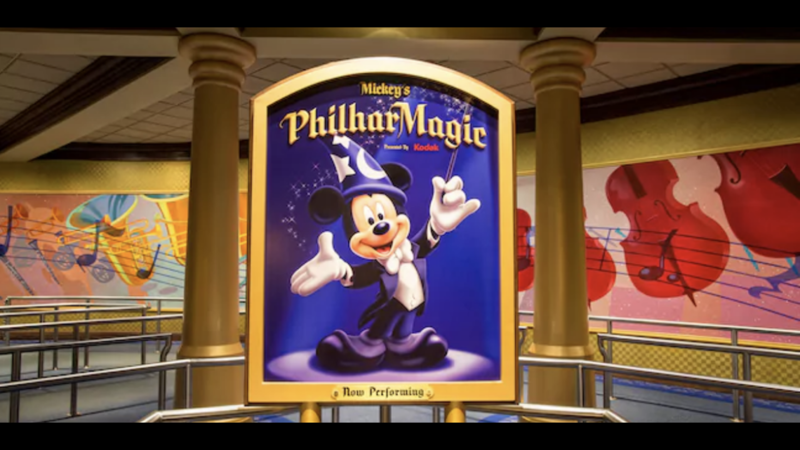 But for many others, return trips are a must, especially for those who want to experience as much as they can of what Disney has to offer. Stein was there a year ago for two weeks. With a young grandchild, that meant moving at a slower pace and taking some days off. The entrance to Disney World's Magic Kingdom. That hasn’t always been the case. When they were younger, Stein said they’d spend morning to night at the parks. “To me it’s much more enjoyable to take it at a leisurely pace,” she said. Darren Grant might disagree. Leisurely is not in his vocabulary while at Disney. And not only is he in the parks every day of his trip from morning to night, but he’s documenting most of it on Facebook. He posted nearly 500 photos on his most recent trip. And he used Facebook Live to broadcast the nighttime firework shows and a trip down Splash Mountain and the afternoon parades at the Magic Kingdom. And he’ll do it again next year. From the crazy overnight drive to Florida to the non-stop park visits while he’s there to the constant posting to social media. People ask him if he will ever get tired of going to Disney. Maybe his daughter has the best answer. Walking down Main Street, U.S.A. at Disney's Magic Kingdom is feast for the senses. You can see Cinderella Castle, hear a barbershop quartet, smell homemade fudge and feel the Florida sunshine. Exploring the tastes of Disney World is an adventure all its own. 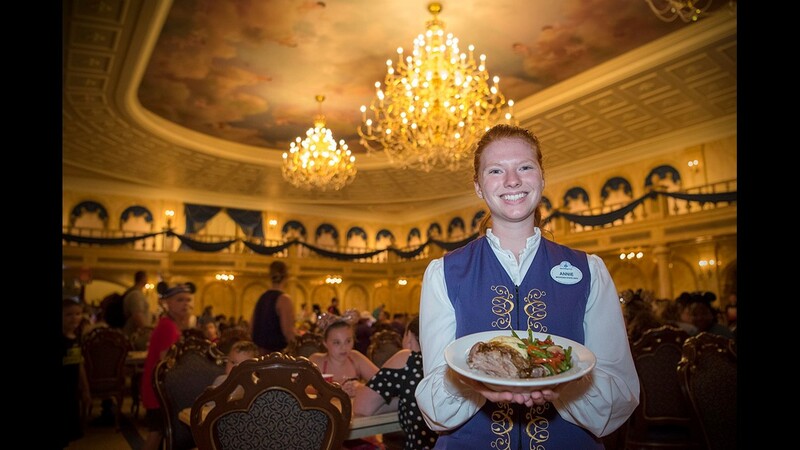 Annie Scott holds a plate of braised pork inside the Grand Ballroom of the Beast's castle at Be Our Guest restaurant. 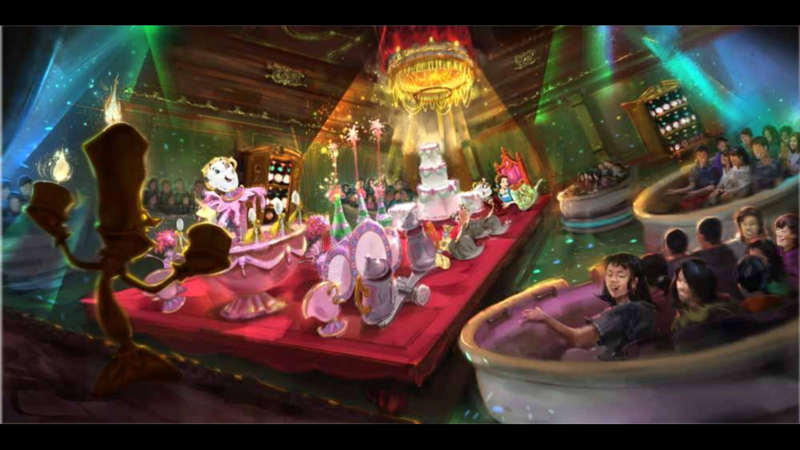 The Disney story Beauty and the Beast comes to life inside the spacious eatery, which offers both quick-service and sit-down dining options. Kids plates get an artistic treatment at Be Our Guest. 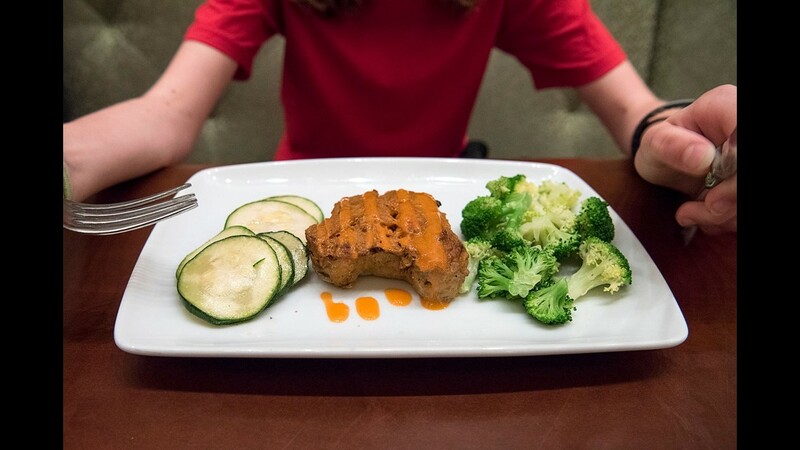 The Mickey Meatloaf is a Mickey-shaped slice of turkey meatloaf with broccoli florets and zucchini. It includes Disney's "Orange Stuff" dipping sauce. 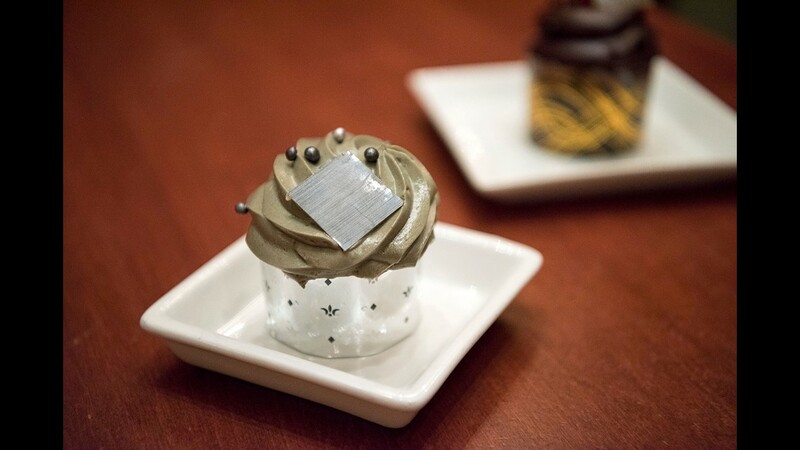 Lumiere's "Grey Stuff" icing covers the Master's Cupcake at Be Our Guest. 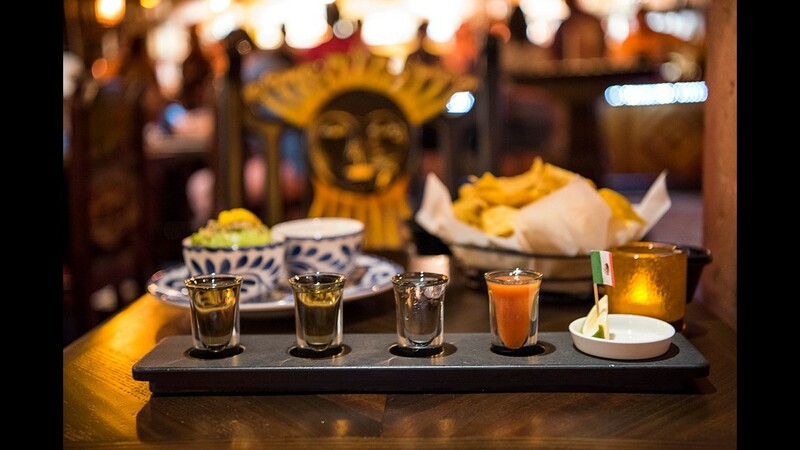 Appetizers and a tequila flight with a sangrita palate cleanser are offered at La Cava del Tequila. The bar stocks more than 100 types of tequila, which are classified by the time they spend aging. From left, this flight includes blanco (less than two months), reposado (from 4-12 months) and anejo (more than a year) tequilas. 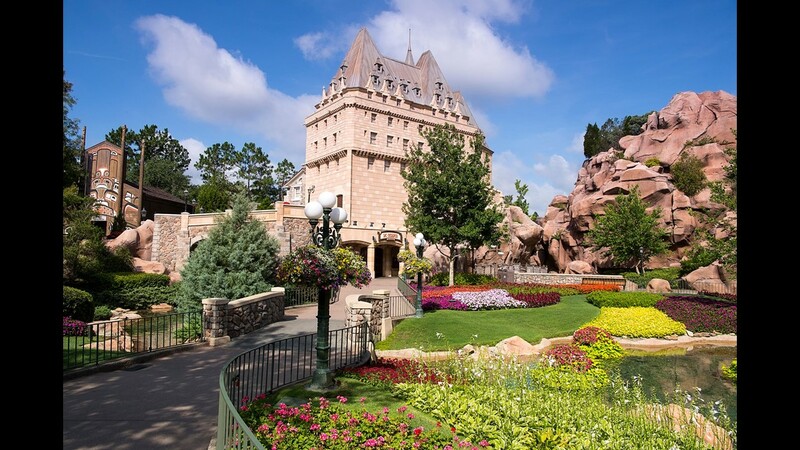 For top steaks at Disney's Epcot theme park, venture to the Canada pavilion and check out Le Cellier Steakhouse. 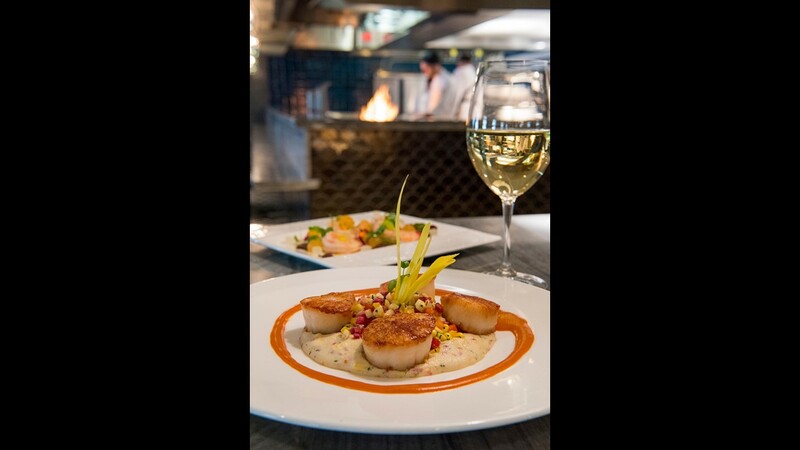 You'll find refined dining and a cool atmosphere inside the darkened halls of a building that mimics the historic Chateau Laurier hotel in Ottawa. 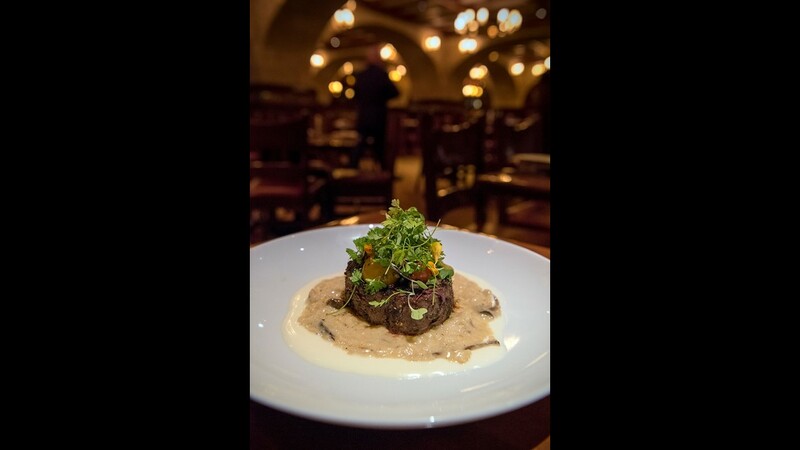 The 8-ounce filet mignon at Le Cellier is served atop a mound of wild mushroom truffle risoto and truffle beurre blanc. The steak is topped with fresh microgreens. 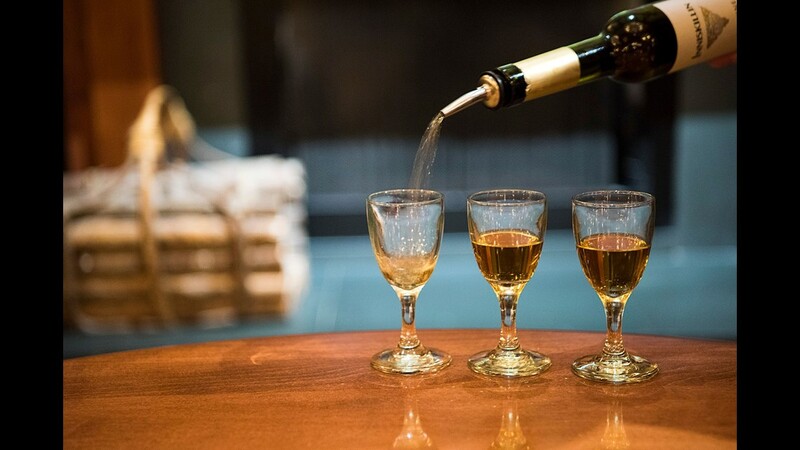 Guests at Le Cellier can cool off with a flight of Canadian icewine, a dessert wine made from grapes that have been frozen while still on the vine. Canada has developed strict regulations for the production of icewine and is a leading producer of this wine type. 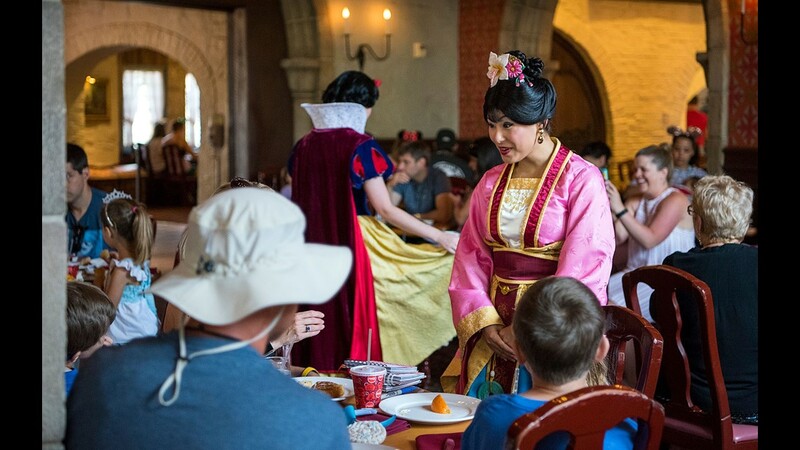 Disney character dining takes on a team approach at Akershus Royal Banquet Hall in the Norway pavilion of Epcot. 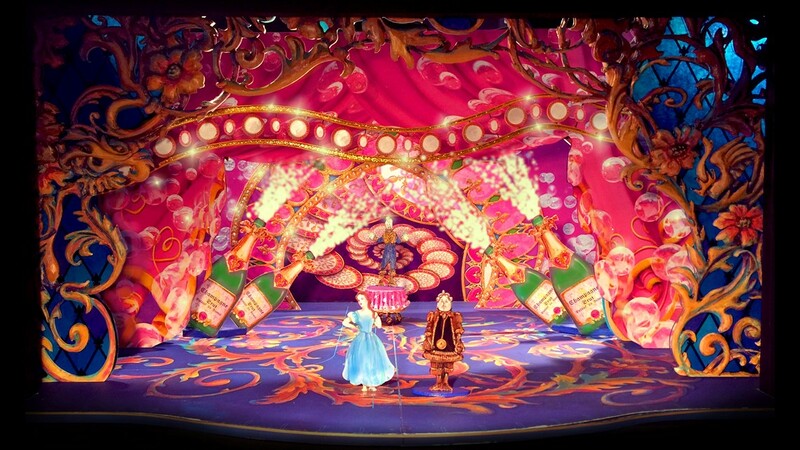 During a Princess Storybook session, guests can greet and interact with a variety of princesses. 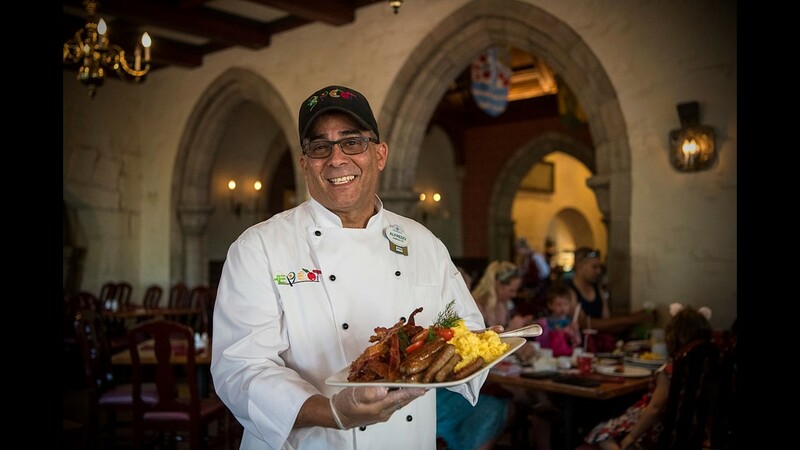 Traditional items such as sausage, bacon and eggs are on the breakfast menu at Akershus. But you also can find Norwegian specialties including peppered mackeral, salmon gravlax and a variety of Scandinavian cheeses. 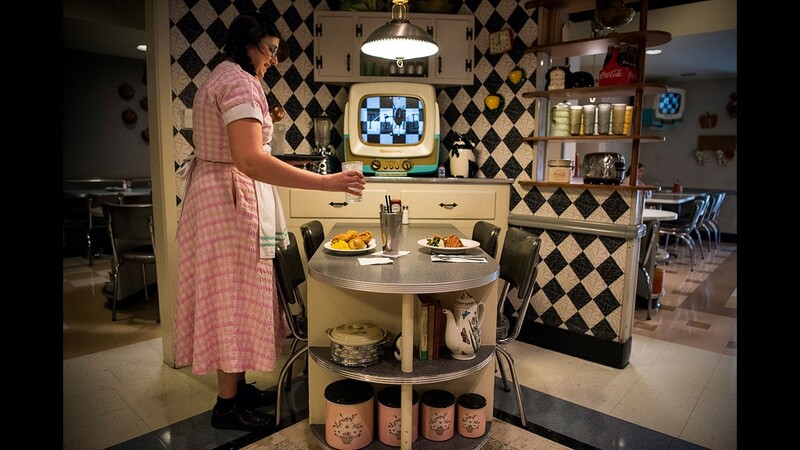 Jenn Havelock serves up an early lunch at 50's Prime Time Cafe at Disney World's Hollywood Studios theme park. The popular eatery makes diners feel right at home in the middle of the 20th century. Creature comforts at many of the tables include black-and-white TVs playing popular shows of the era. 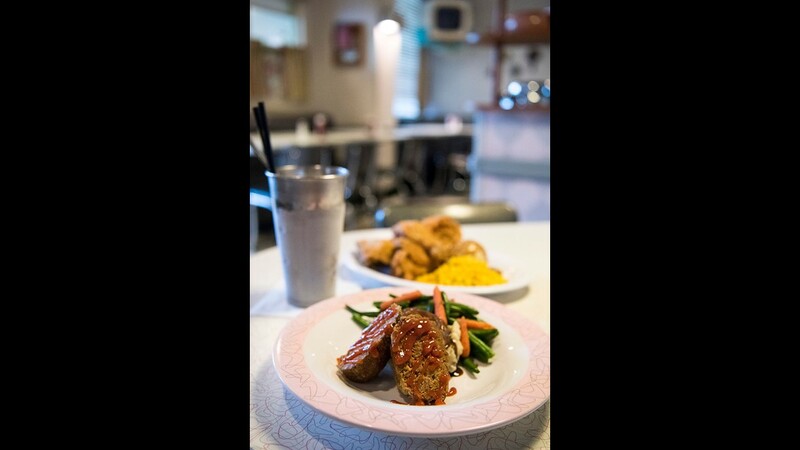 Favorites on the menu at 50's Prime Time Cafe include Cousin Megan's Traditional Meatloaf and Aunt Liz's Golden Fried Chicken. The tender meat loaf is served with a sweet glaze, green beans and garlic mashed potatoes. Another house specialty is the peanut better and jelly milk shake. 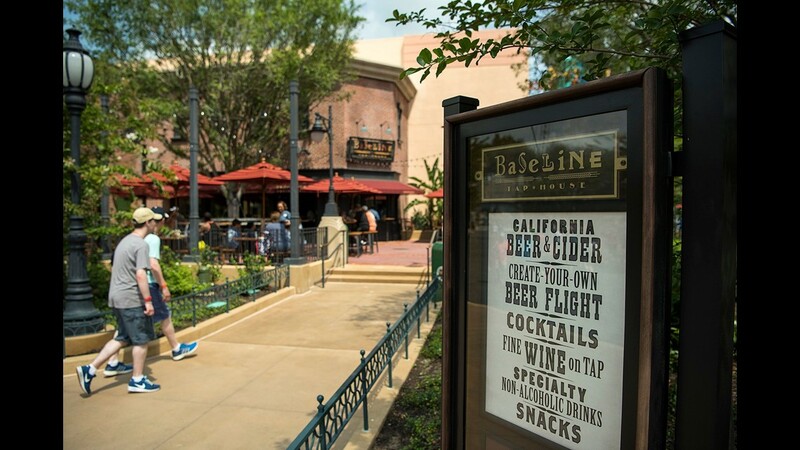 BaseLine Tap House, at Disney's Hollywood Studios park, provides a cool respite from the Florida heat. 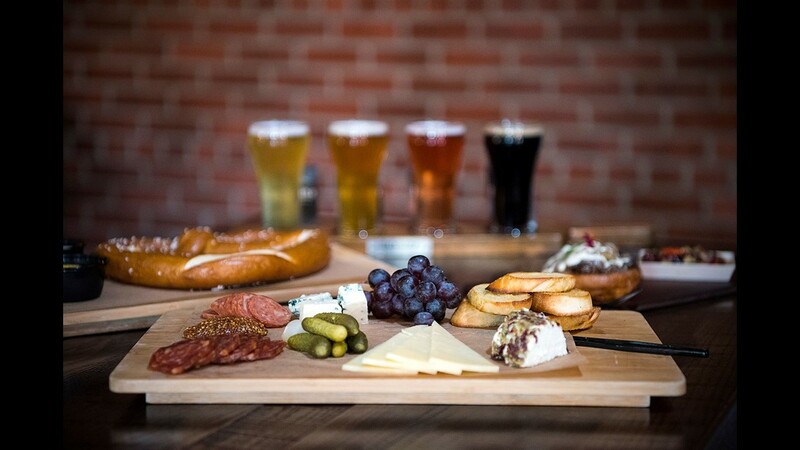 BaseLine Tap House offers small bites such as the California Cheese & Charcuterie plate and Bavarian pretzel with cheese fondue and spicy mustard. The beers all come from California breweries, in keeping with the location at Disney's Hollywood Studios. 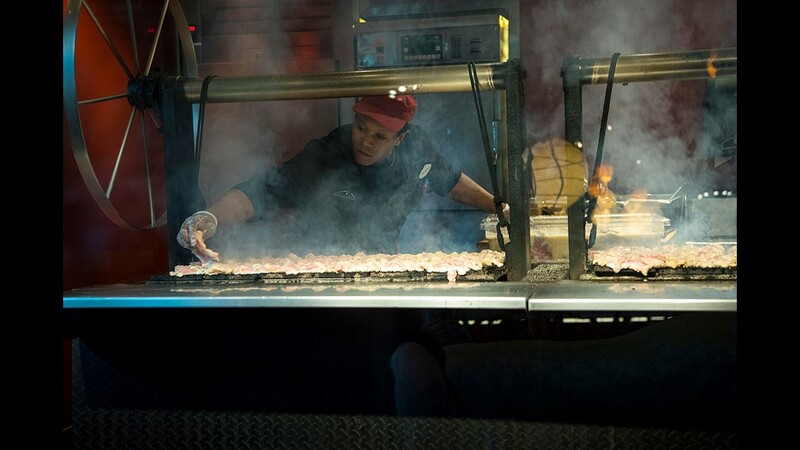 Walt Disney World employee Anthony Newell prepares grilled chicken at Satu'li Canteen, a restaurant at Animal Kingdom theme park. 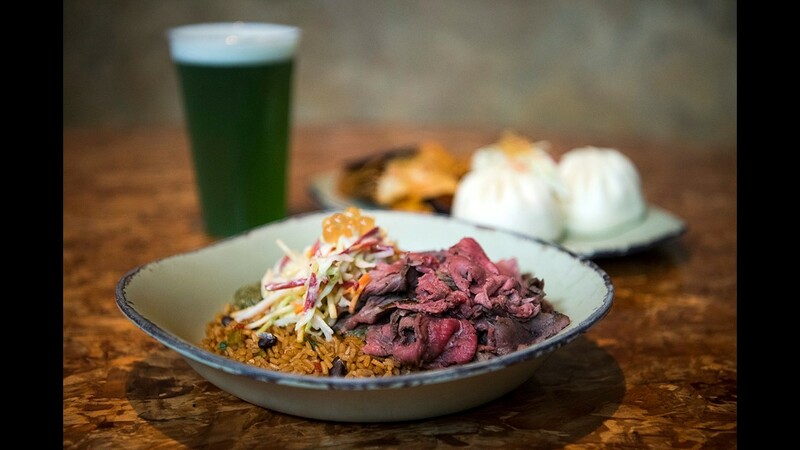 Located within Pandora -- The World of Avatar, Satu'li goes beyond standard lunch fare with gobally inspired plates, fresh juices and a selection of craft beer and wine. The grilled beef bowl at Satu'li Canteen combines slow-roasted, marinated beef and vegetable slaw. It's served with a choice of sauce and one side, in this case black beans and rice, and topped with tangy boba balls. In the background are a serving of cheeseburger bao buns and a draft beer. Nomad Lounge & Cocktail Bar, in Disney's Animal Kingdom park, provides a cool respite from the summer heat. You'll find a selection of small bites, international wines and beers, and well-crafted cocktails on the lounge's menu. 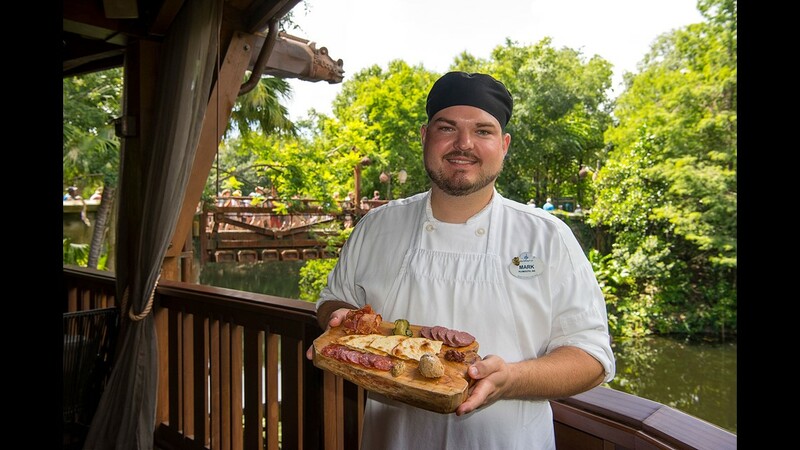 Mark Torsey, a chef at Nomad Lounge inside Disney's Animal Kingdom theme park, presents a house-made charcuterie board. The delectable bites include tasso ham, smoked venison sausage, duck rillettes and Calabrese salami. 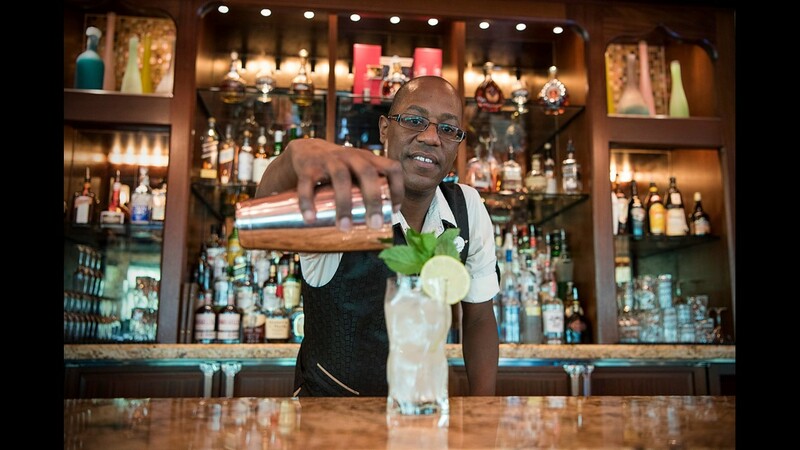 Bartender Jabaar Rivers pours a Snow Leopard Salvation cocktail at Nomad Lounge. A portion of each drink goes toward a snow leopard conservation fund that includes habitat protection. The drink includes Snow Leopard vodka, which is made in Poland from spelt grain. 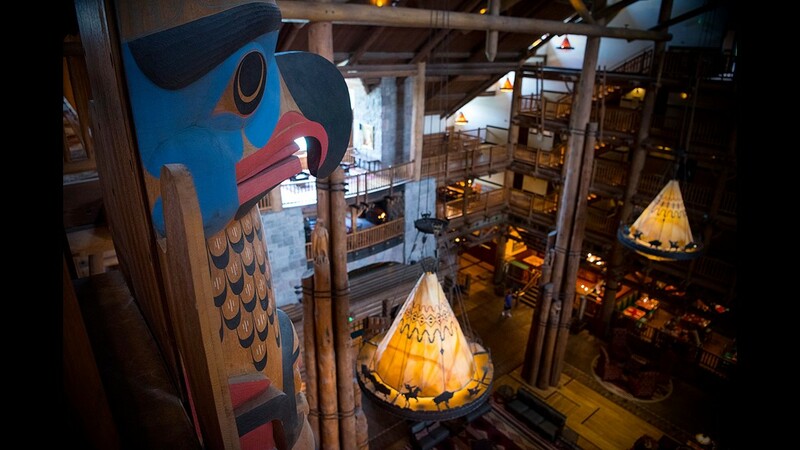 A bird’s-eye view shows the multiple levels of Disney’s Wilderness Lodge, which has several restaurants catering to visitors’ needs. 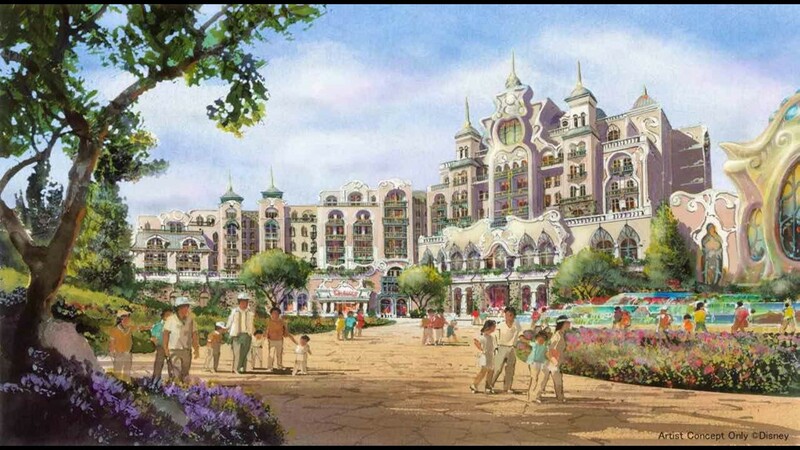 They include the Whispering Canyon Cafe, and the fine-dining venue Artist Point. 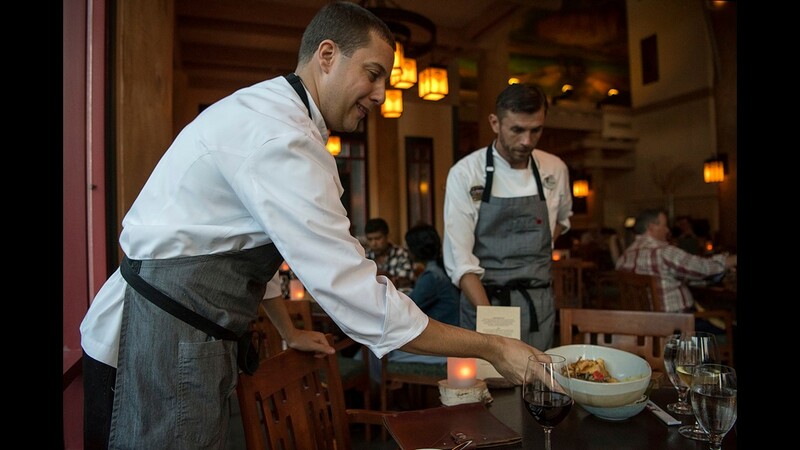 Chef Michael Gonsalves and sous chef Matthew Birch deliver dinner at Artist Point, a Pacific Northwest-themed restaurant inside Disney's Wilderness Lodge. 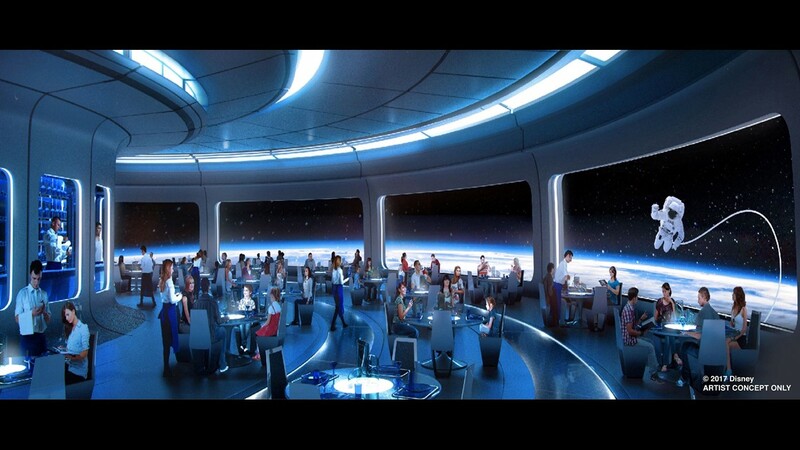 Gonsalves has been at Artist Point for three years and with Disney for a decade. "Our visitors are coming here to enjoy spending time with their families, and we come here each day doing what we love the most." 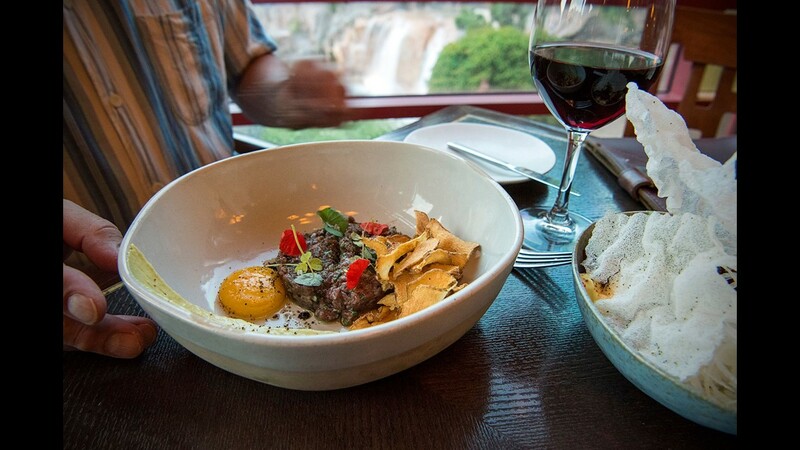 Artist Point's venison tartare is served with a poached egg yolk, juniper, tarragon aioli and sunchoke chips. 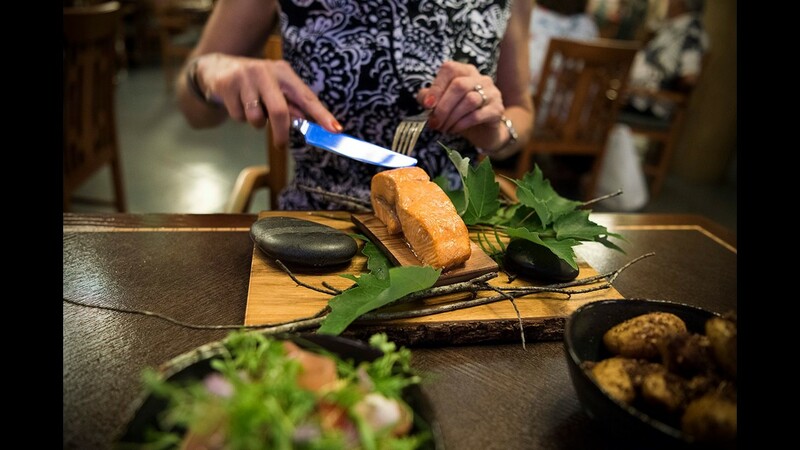 A Pacific Northwest-themed restaurant would be incomplete without salmon. Artist Point doesn't disappoint, as this slow-roasted, lemon oil-drizzled filet of Copper River salmon attests. 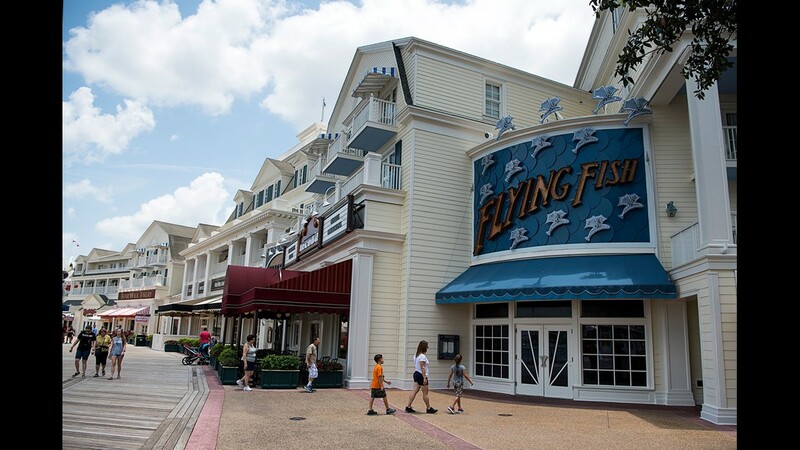 Flying Fish restaurant, on Disney's BoardWalk, features sustainable seafood in a fine-dining atmosphere. The restaurant was redesigned inside and out in 2016 and now abuts the AbracadaBar cocktail lounge. Flying Fish Chef Tim Majoras holds a jumbo shrimp appetizer, served with shaved serrano ham, spiced palm hearts and vanilla viniagrette. The restaurant got a new menu and new leadership from Majoras in 2016. The decor includes a chandelier designed to mimic a flying school of fish. "We offer only premium, sustainable seafood that is harvested directly from the waters of the world, with a focus on our bountiful Florida coast," Majoras says. Flying Fish's plancha-seared hokkaido scallops are served with antebellum grits, sweet corn and a peppadew emulsion sauce. Flying Fish has an open kitchen with available chef's table seating. 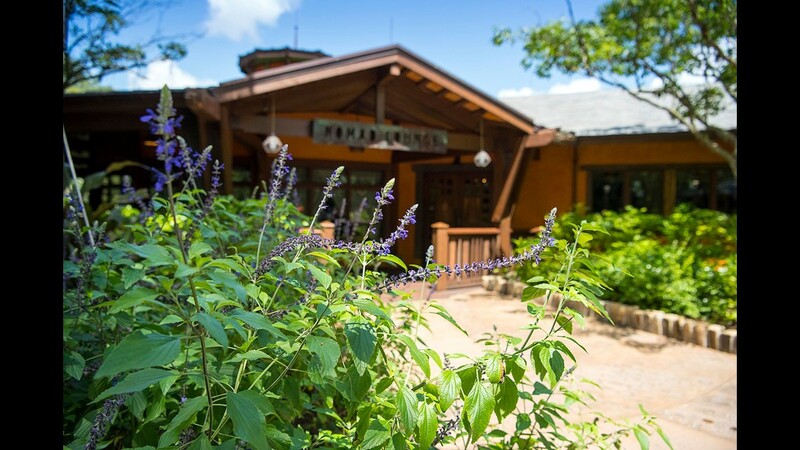 African beasts and fowl are on full display for diners at Sanaa restaurant in Disney's Animal Kingdom Lodge. 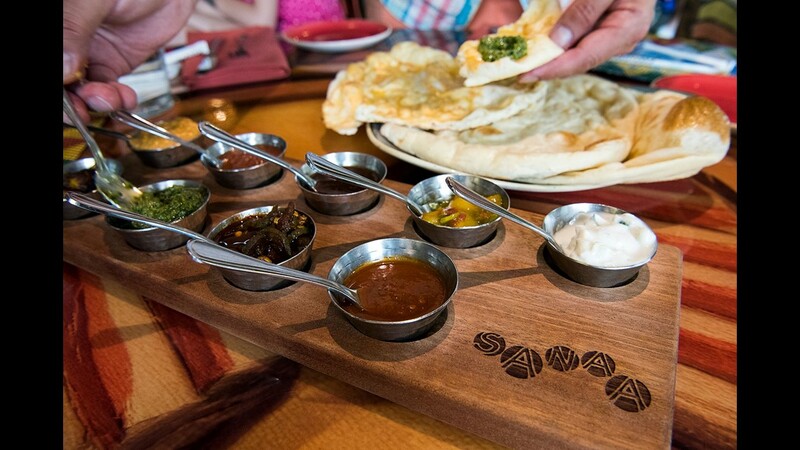 The naan service is one of the most-popular menu items at Sanaa. In addition to a variety of freshly prepared Indian bread, the service includes up to nine accompaniments that include chutneys, hummus and spiced pickle bites with some raita to cool the palate. 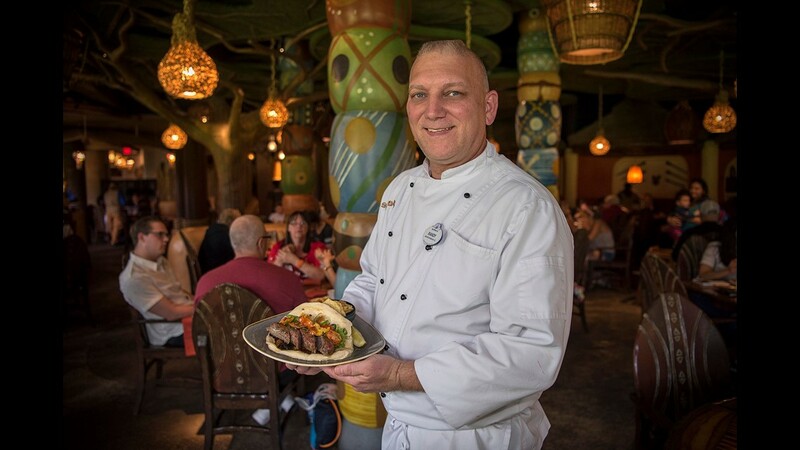 Randy Koehler, executive chef at Sanaa, displays the Boerewors Braii, a naan sandwich made with grilled South African sausage and topped with onion jam and confit tomatoes. "We get cultural reps from around India and Africa who truly know what the food is supposed to taste like, and we listen to them," he says. "We really strive for authenticity." 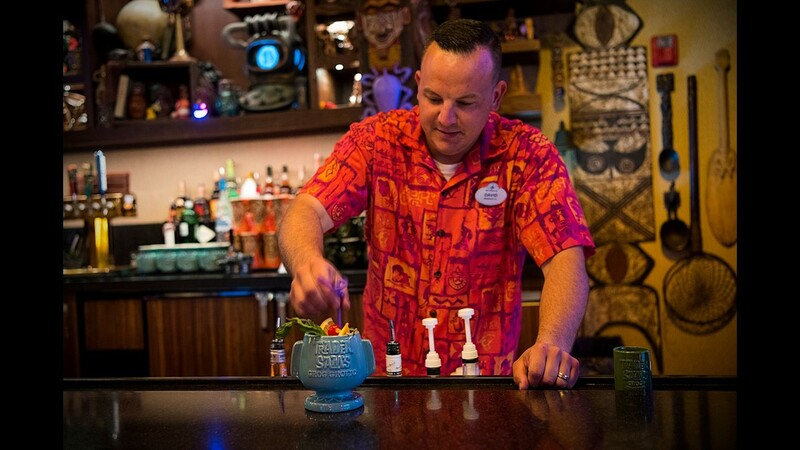 David Martell concocts a HippopotoMai-Tai at Trader Sam's Grog Grotto, a psychedelic tiki bar at Disney's Polynesian Village Resort. The cocktail combines rums with flavors of orange, lime and almond, and comes in a souvenir glass. 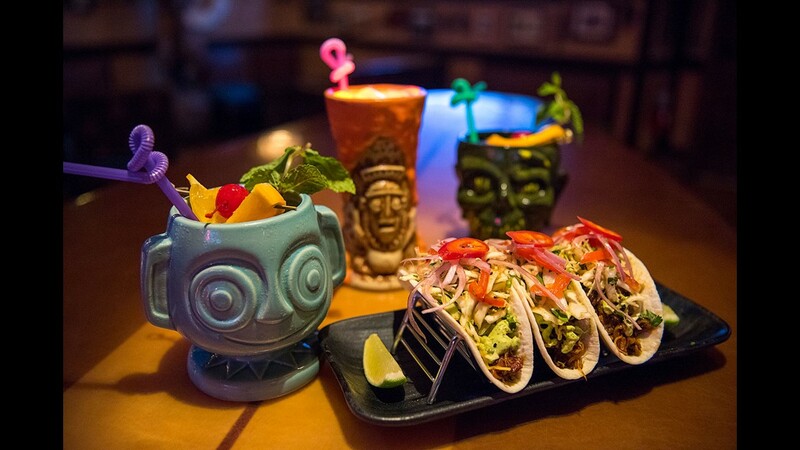 A trio of kálua pork tacos hangs ten on a surf board along with Polynesian cocktails at Sam's Grog Grotto, where the menu and decor are inspired by the South Pacific. 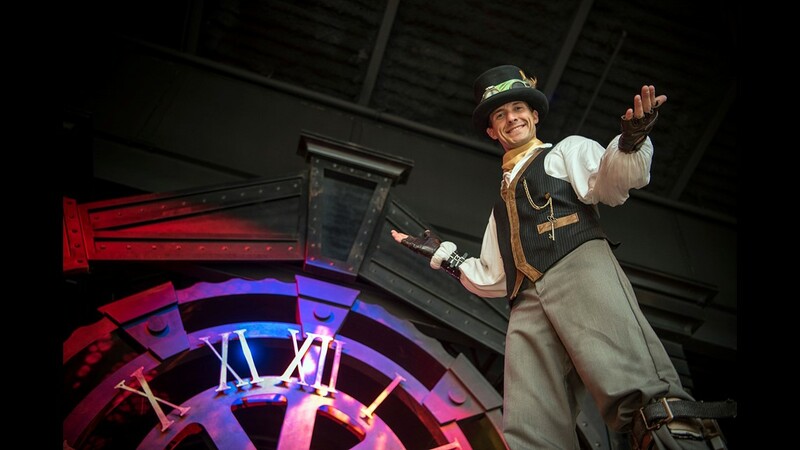 Tyler Carstensen rises high above the crowd to come guests at The Edison restaurant and bar at Disney Springs. 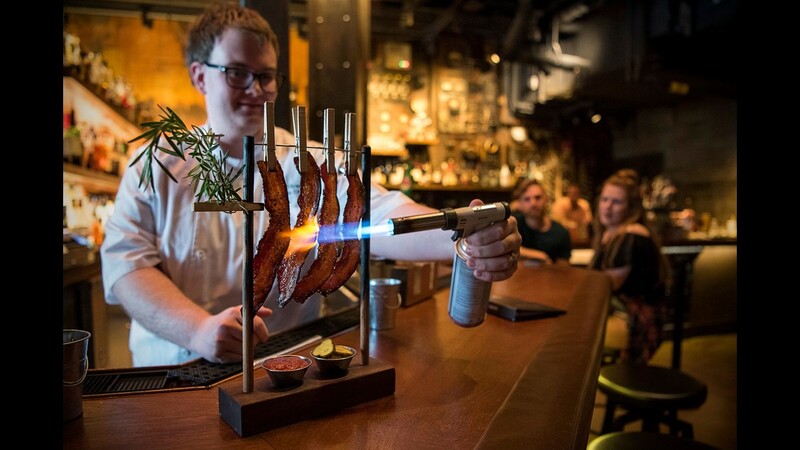 The Edison is one of the newest additions to Disney Springs, the hip entertainment and shopping complex in Bay Lake, Fla.
Will Green, sous chef at The Edison at Disney Springs, puts the final flaming touches on an order of Clothesline Candied Bacon, which is served with fruit mostarda and a sweet-and-spicy pickle. "It's one of those dishes where as soon as one goes out, five more get ordered," Green says. 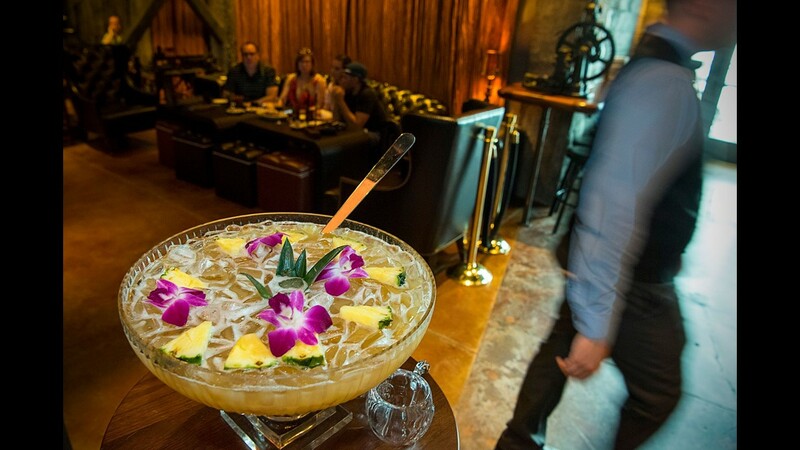 : Speakeasy fans flock to The Edison for craft cocktails and signature sips, such as the Time Turner punch bowl, which serves 10. It's spiked with two types of rum and topped with pineapple slices and orchid blooms. 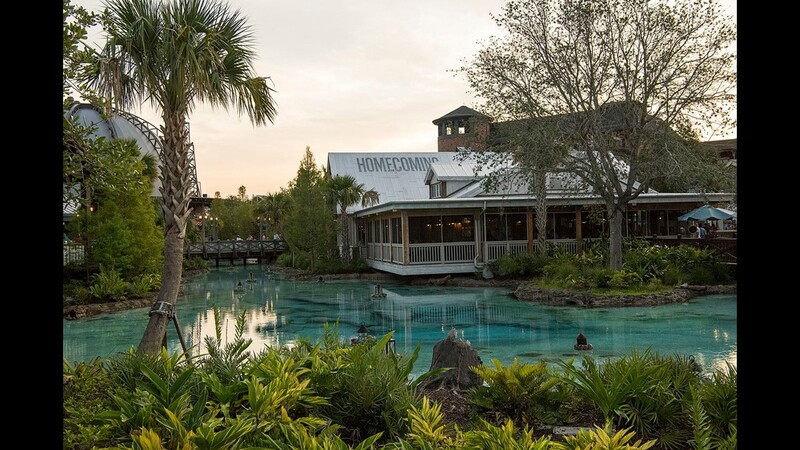 Chef Art Smith's Homecomin' at Disney Springs features the creative menu by the award-winning Smith, once the presonal chef of Oprah Winfrey. His menu boasts Southern classics such as fried chicken, hushpuppies, fried green tomatoes, catfish and shrimp and grits. 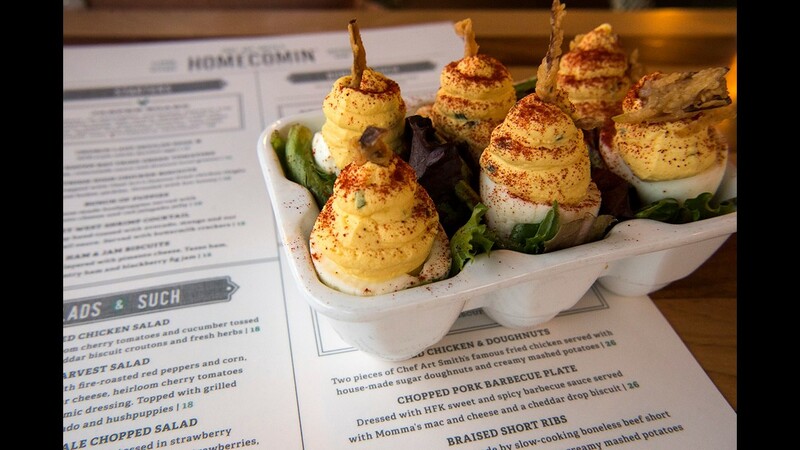 The "Church Lady Deviled Eggs" at Art Smith's come with a bed of greens inside a playful egg serving dish, and receive a dusting of spice. 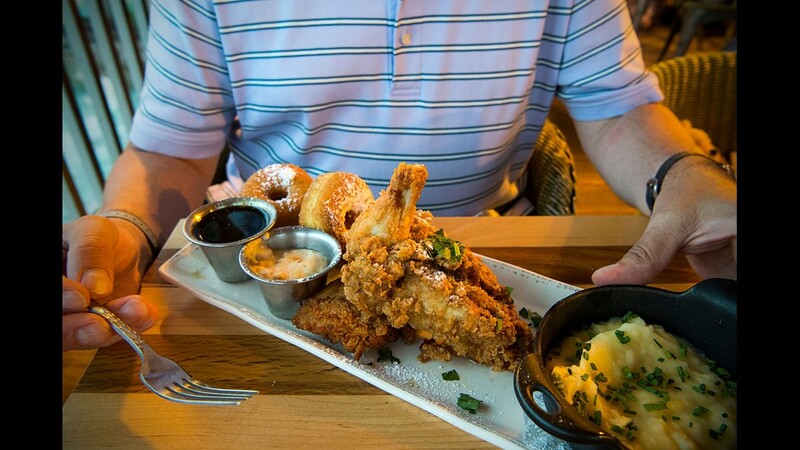 Chef Art Smith's creative play on the chicken and waffles phenomenon includes doughnuts taking the place of waffles. The buttermmilk-brined chicken is also served with mashed potatoes, syrup and a dipping sauce. 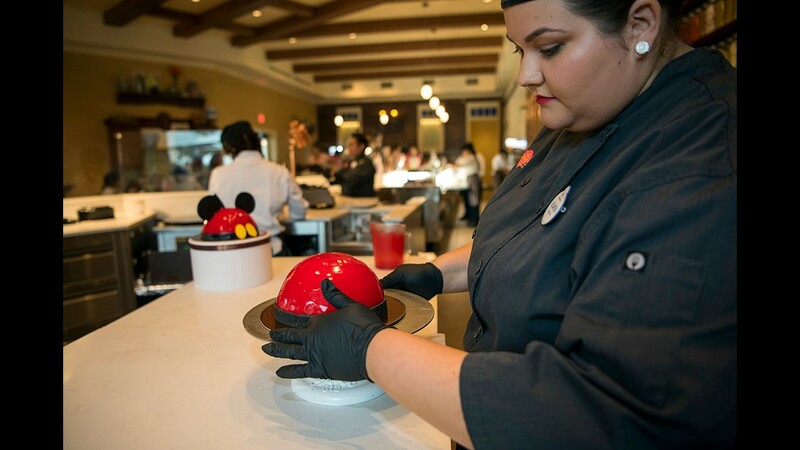 Alexandria Furlong, chef assistant at Amorette's Patisserie in Disney Springs, fastens a belt made of modeling chocolate onto a Minnie character cake. "Art meets pastry here," says Furlong, who attended the Disney College Program at Disney's Grand Floridian Resort & Spa. "It's really magical." 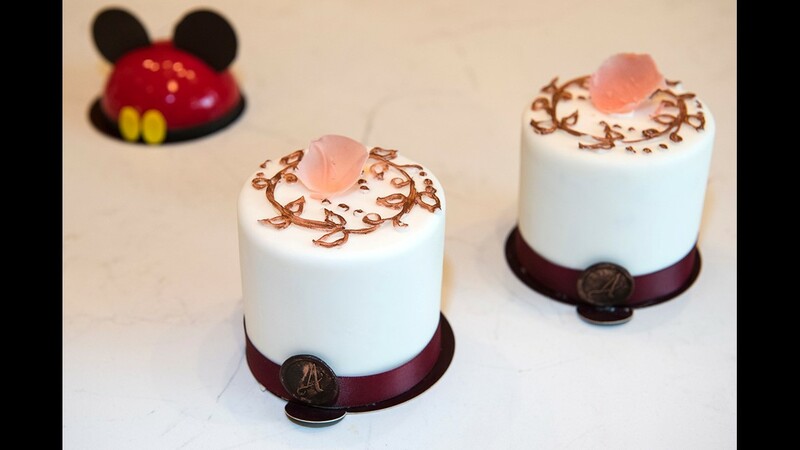 Amorette's Patisserie offers petite pastries for those who wish to visit Disney Springs and eat their cake, too. Amorette's Petit Cake, in the foreground, contains 11 layers of cake, mousse and fruit jelly that's encased in Italian buttercream. In back is the popular Mickey Mousse, made of chocolate chiffon cake, and dark and white chocolate mousse. 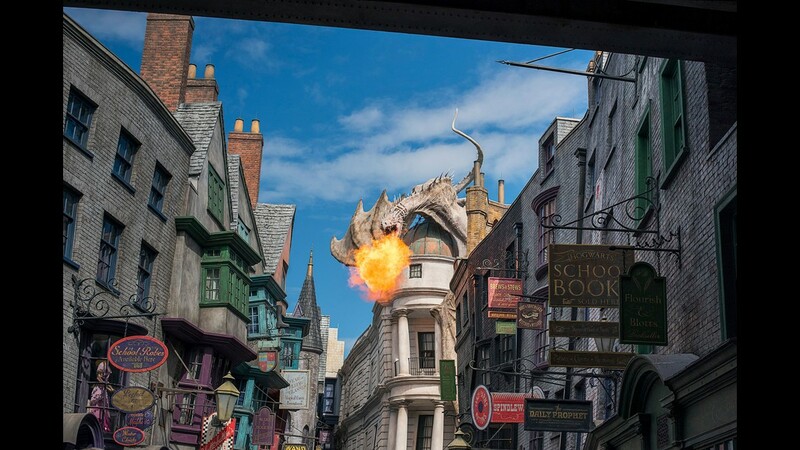 The Diagon Alley dragon lets loose with a ball of fire at the Wizarding World of Harry Potter in Universal Studios Florida. Universal recreated the fictional commercial center of the Harry Potter novels, and it's become a top attraction at the theme park. You can shop for a Hogwarts uniform at Madam Malkin's, buy a box of jelly slugs at Sugarplum's Sweetshop, or allow a wand to choose you at Ollivanders. 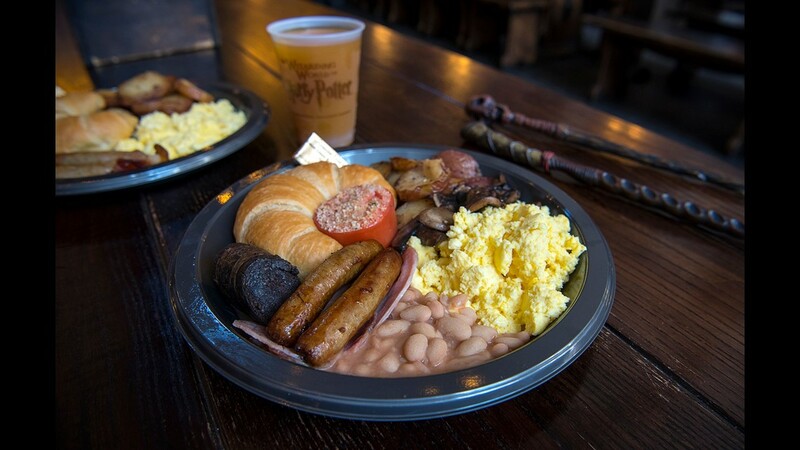 A proper English breakfast is served at the Leaky Cauldron in Diagon Alley. The hearty plate includes black pudding (blood sausage), sausage links, bacon, eggs, beans, potatoes, a tomato and a croissant. Pumpkin juice also is on the menu. Harry Potter fans can experience the novel series' wizarding world at both Universal theme parks. 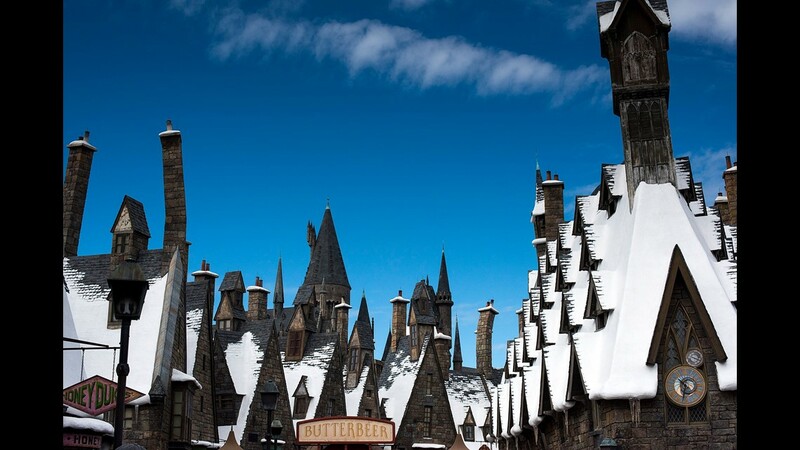 At Universal's Islands of Adventure, a wintry village of Hogsmeade awaits visitors. Here, you'll find lots of Butterbeer, the bubbly beverage made famous in author J.K. Rowling's fantasy adventure. Order a Butterbeer at Three Broomsticks restaurant at Universal's Islands of Adventure, and you'll be asked whether you want it cold or frozen. 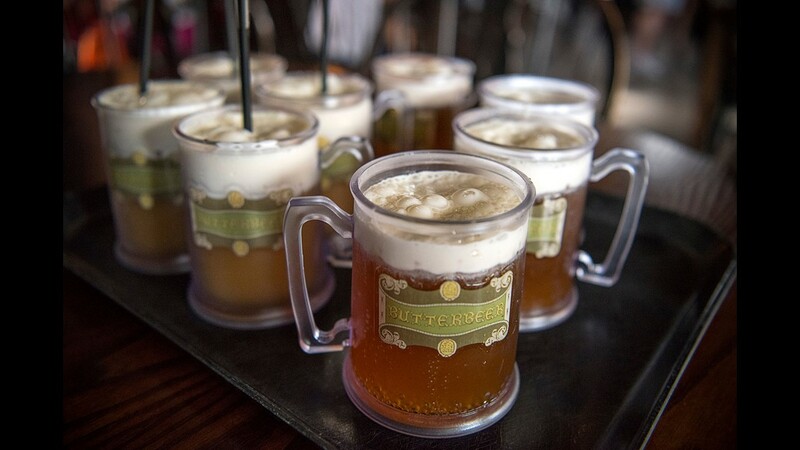 While the true recipe for Universal's Butterbeer is a closely guarded secret, the non-alcoholic draught is best described as a cross between cream soda and butterscotch, with a sweet, creamy foam on top. 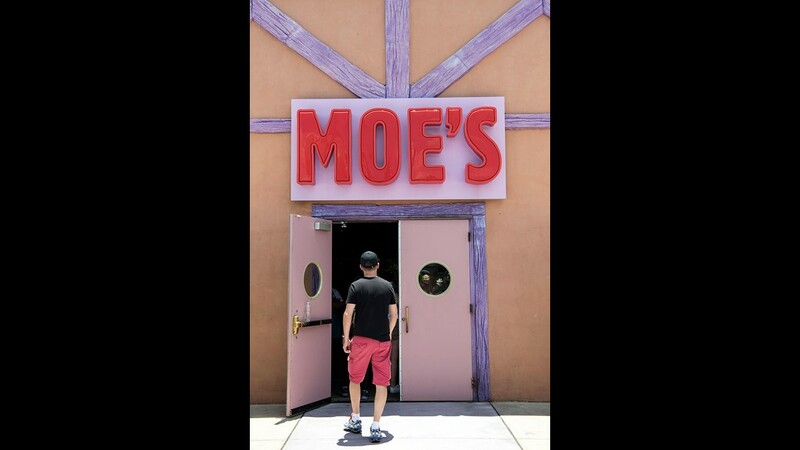 Moe’s Tavern is Homer Simpson’s place to drink, and it’s a favorite of visitors of Springfield at Universal Studios Florida. It’s a place to order a genuine Duff beer while you check your romantic proclivity on the Love Tester machine, or cozy up for a selfie with Homer’s pal, Barney Gumble. 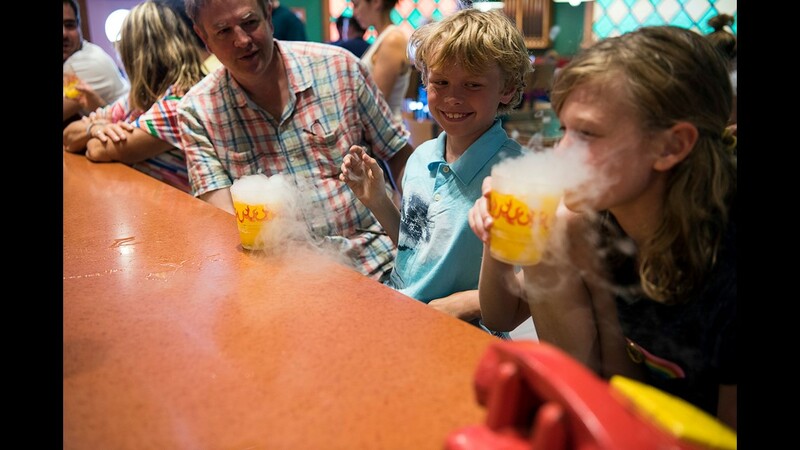 The Flaming Moe is a specialty of the house at Moe’s Tavern at Universal Studios Florida. While the libation created by Homer Simpson was an alcoholic drink set afire, this version is non-alcoholic. The “flaming” effect is caused by dry ice, packed at the bottom with an orange-flavored tablet that bubbles when met with a soda water pour. Fun foods are on the limited menu at Moe’s Tavern, and the adjoining Krusty Burger. 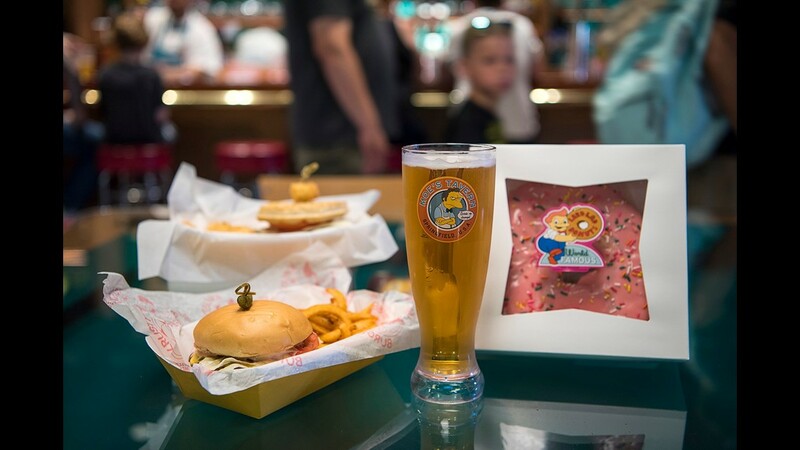 Pictured here, from left: Krusty Burger and fries, Duff beer and Lard Lad "Big Pink" doughnut. 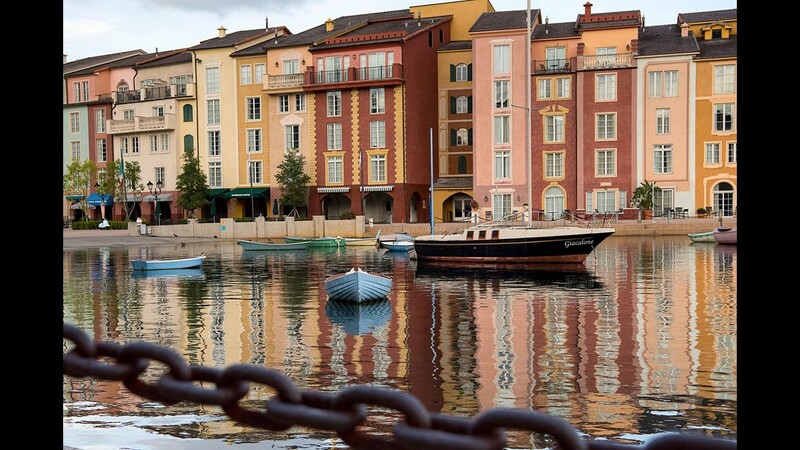 Resort properties around the theme parks offer prime dining, including Loews Portofino Bay at Universal Orlando Resort. The Italian-themed, 750-room hotel boasts eight eateries and a colorful harbor piazza, where opera singers frequently belt out soulful ballads. It wouldn't be Italy without gelato. Here employee Lady Zel Mendoza scoops the creamy concoction at the Gelateria, tucked along a quiet walkway at Loews Portofino Bay. 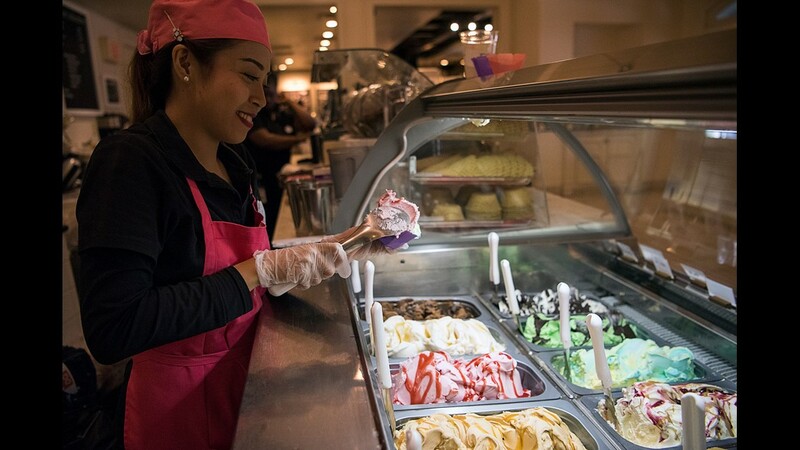 "Kids really love the Blue Banana Gelato," Mendoza says. "It's inspired by the Minions." 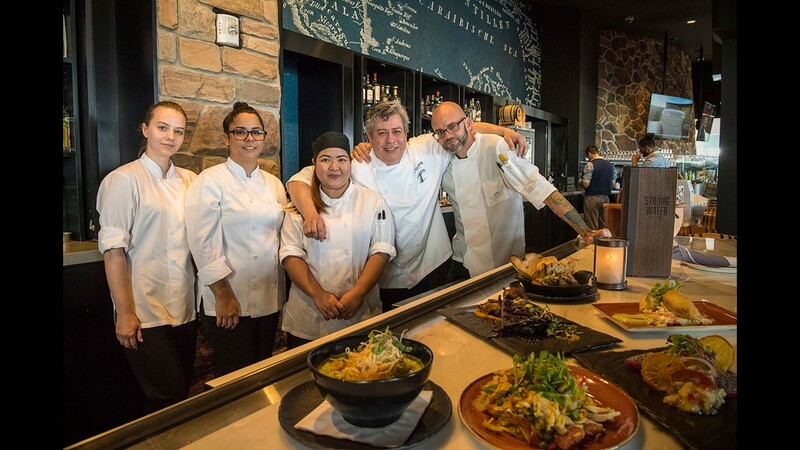 The kitchen team at Strong Water Cafe in Lowes Sapphire Falls Resort at Universal Orlando includes, from left: Monica Sabzinskaite, Anna Sanchez, Kenela Bagalpin, executive chef Carlos Castano, and Philip Fischer. "The whole menu is tapas Caribben style, so it's food we ate as kids," says Castano, who grew up in Miami. "We didn't want to do pizzas or flatbreads. Everything is from scratch." The Strong Water Tavern ceviche bar features fresh food in season. 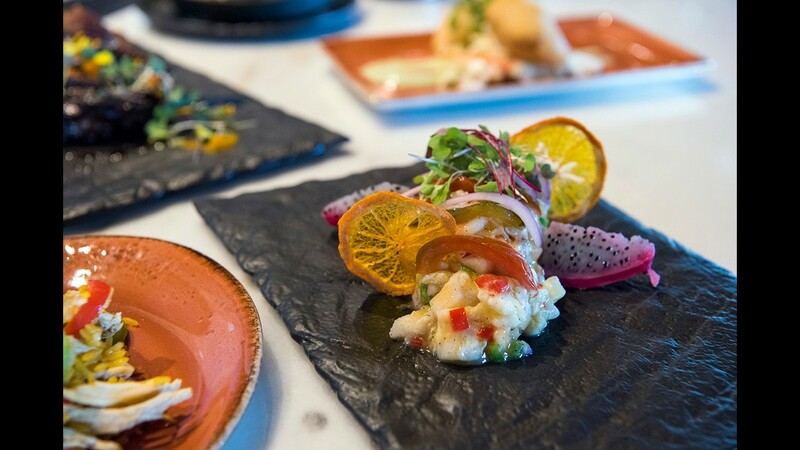 An example is the Florida Ceviche, which combines Gulf of Mexico red snapper, scallops and shrimp with fresh produce from local farms, such as mangoes, oranges, tomatoes, peppers, dragonfruit, blueberries and yellow watermelon. 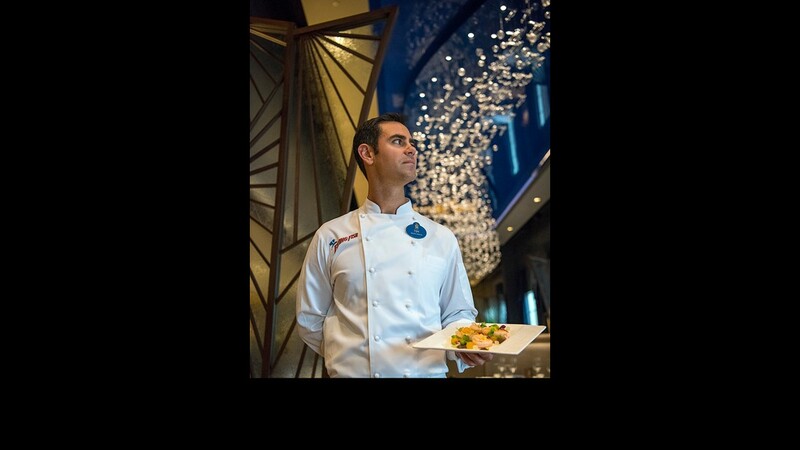 "As the season goes by, we just change it up," says executive chef Carlos Castano. 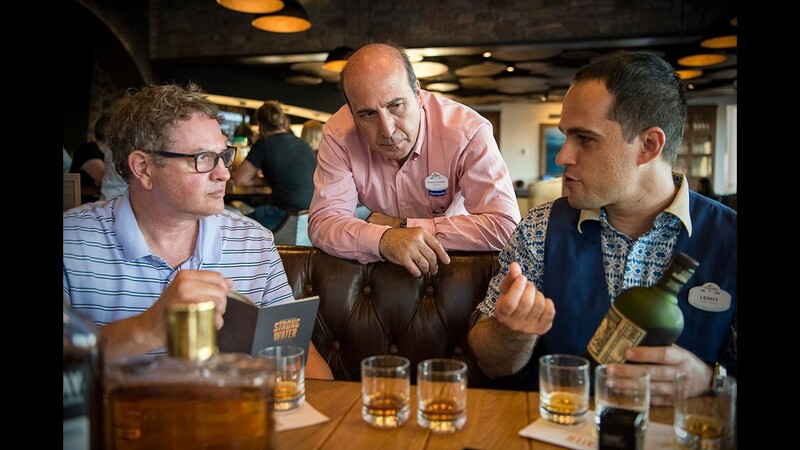 Strong Water Tavern rum captain Lenny Husenaj, right, and tavern manager Fernando Di Nardo discuss various types of rum with a visitor during a rum tasting. Di Nardo says Strong Water offers more than 100 rums from around the world, which patrons can order on their own or in creative cocktails such as house-made milk punch. Strong Water also infuses rums and makes its own syrups, and can help visitors source rums in their hometowns. "We can help you find rums in a price range that'll blow your company away," Husenaj says. 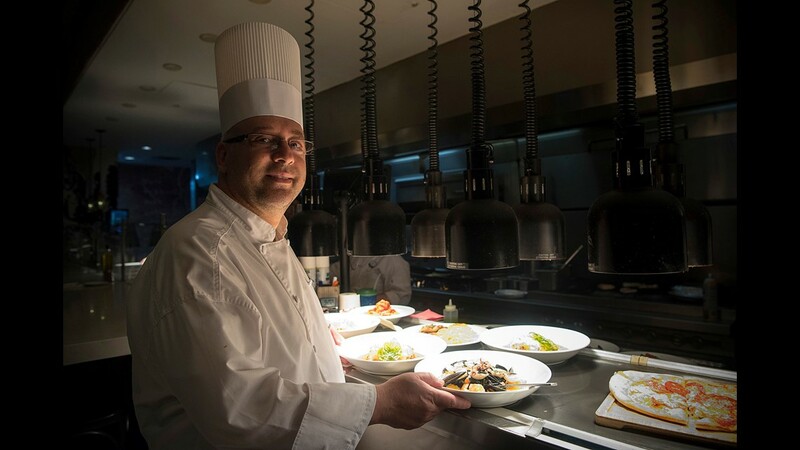 Chef Gianluca Sciagata stands with some of his creative Italian dishes inside Vivo Italian Kitchen at Universal CityWalk. Vivo opened in mid-2016, serving freshly made pastas. "I'm trying to bring some very traditional Italian food to Universal," said Sciagata, who moved from Italy to the United States two decades ago. "I think people like the fact that even though we're at the theme parks, it's not just hot dogs and pizza." 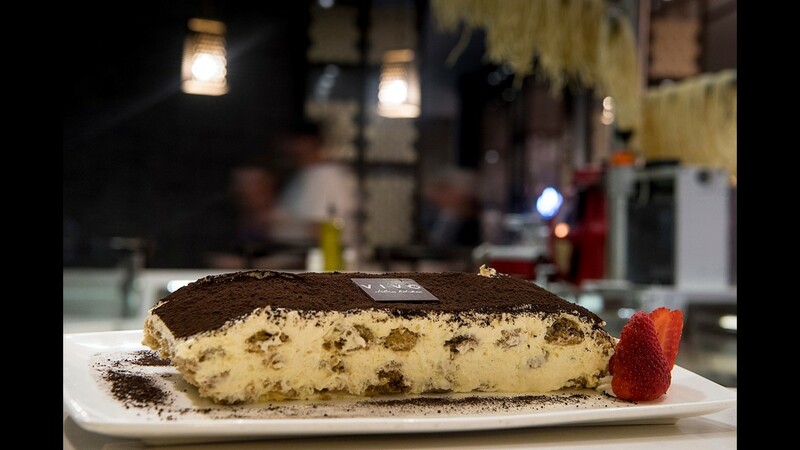 The toothsome tiramisu at Vivo Italian Kitchen is made traditionally, with lady fingers soaked in espresso, mascarpone cheese and chocolate bits. 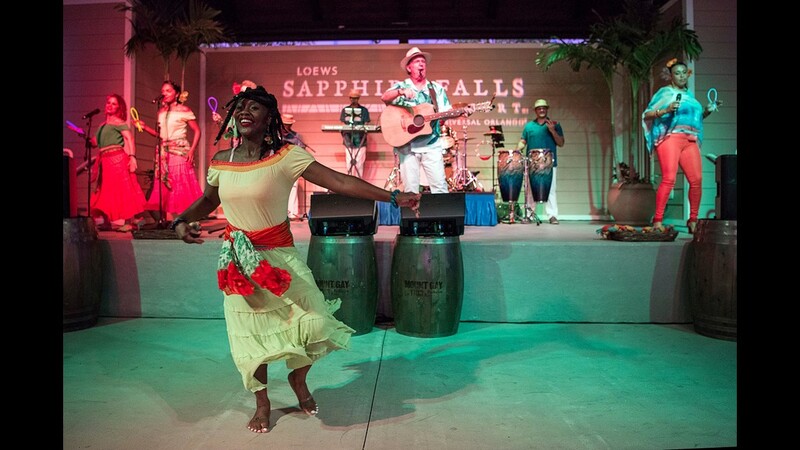 Dining and dancing are equal parts of the Caribbean Carnaval dinner show at Lowes Sapphire Falls resort. 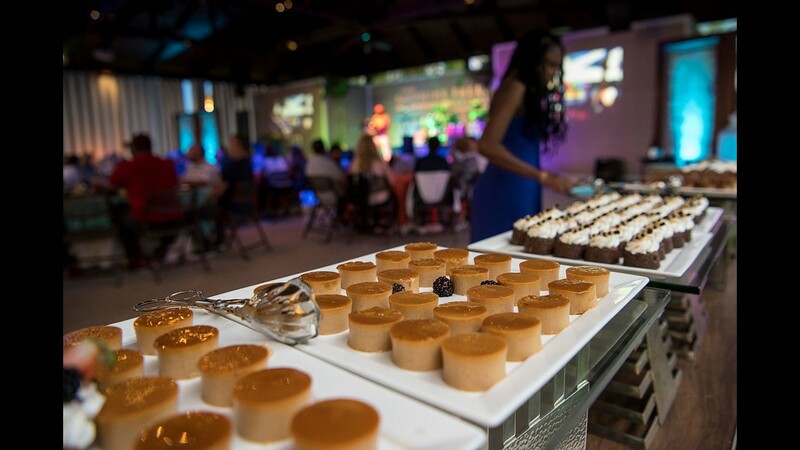 Trays of colorful desserts make for sweet after-dinner treats at the Caribbean Carnaval dinner show at Loews Sapphire Falls resort. The colorful production is held Friday evenings and includes a buffet dinner. 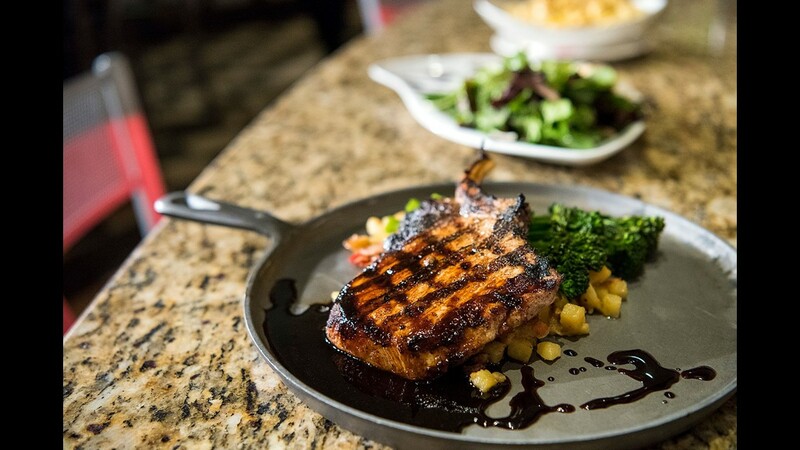 A grilled adobo pork chop at Hard Rock Hotel's The Kitchen is served with broccolini and red pepper and bacon potato hash, and comes with a port wine reduction. 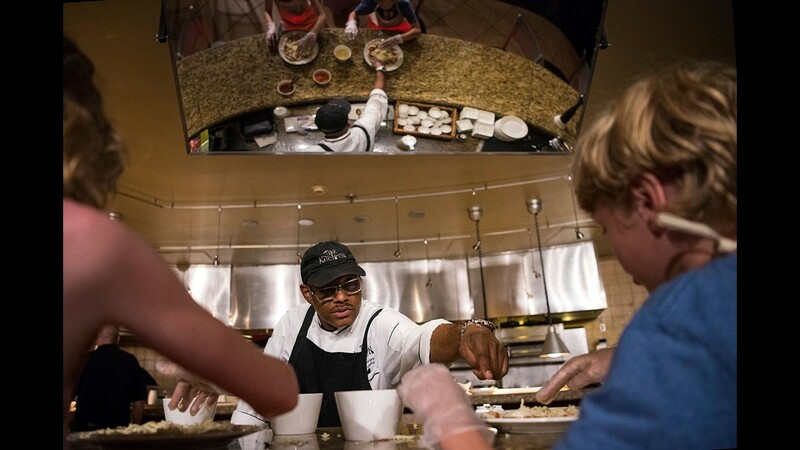 Chef Linwood Manley helps kids top off their own hand-made pizzas at The Kitchen. Children can craft individual pies on Tuesdays and Thursdays at the Hard Rock Hotel Orlando eatery. 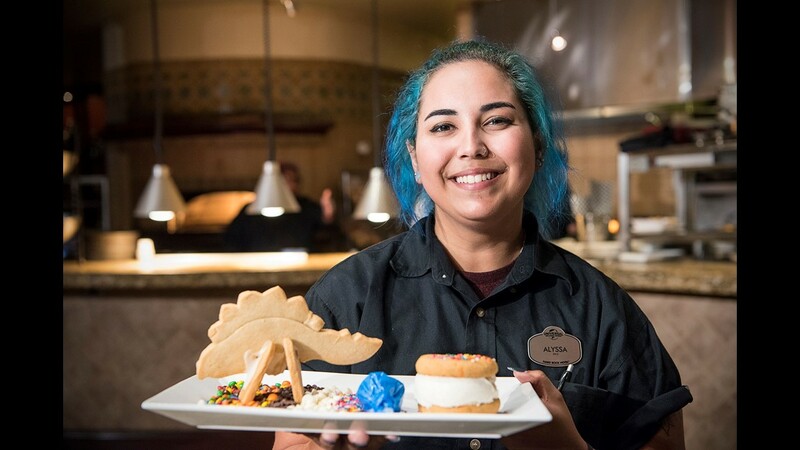 Alyssa Kleinschmidt shows off the Rockasaurus dessert at The Kitchen inside the Hard Rock Hotel Orlando, part of Universal Orlando. The Kitchen caters to kids with cool desserts, and there's plenty of great eats on the menu for adults, too. 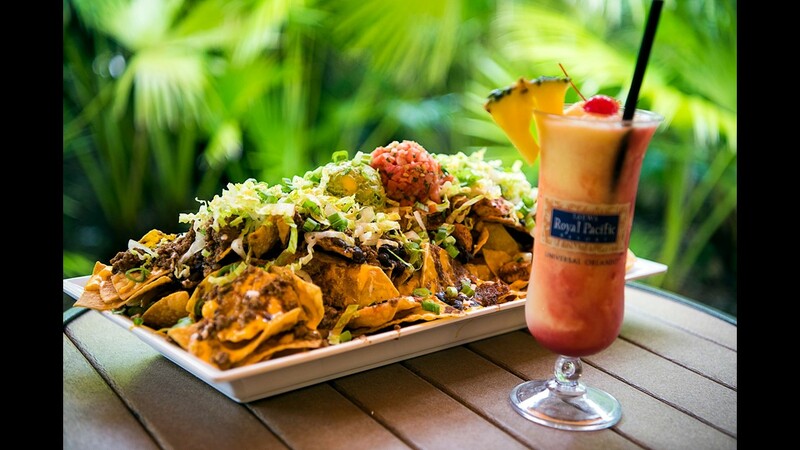 The fulfilling nachos appetizer is a full-on experience at the Bula Bar & Grille at Loews Royal Pacific Resort. 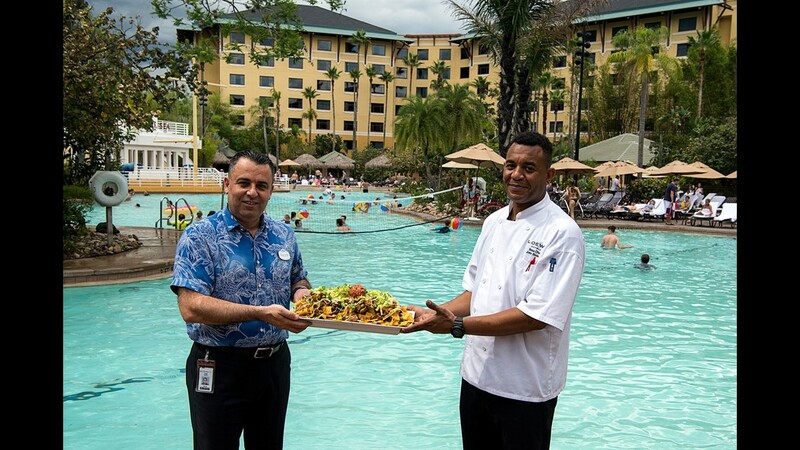 Here, Royal Pacific food and beverage manager Fuat Guven and sous chef John Booker display the huge plate beside the resort's lagoon-style pool. Royal Pacific's $15 nachos plate includes black beans, cheddar cheese fondue, sour cream, pico de gallo, guacamole, shredded lettuce and scallions. It also comes with a choice of beef or chicken (or a combination of the two) that has been cooked sous vide to keep the meat moist. "When people see this out on the deck, it's eye-popping," says Royal Pacific sous chef John Booker. 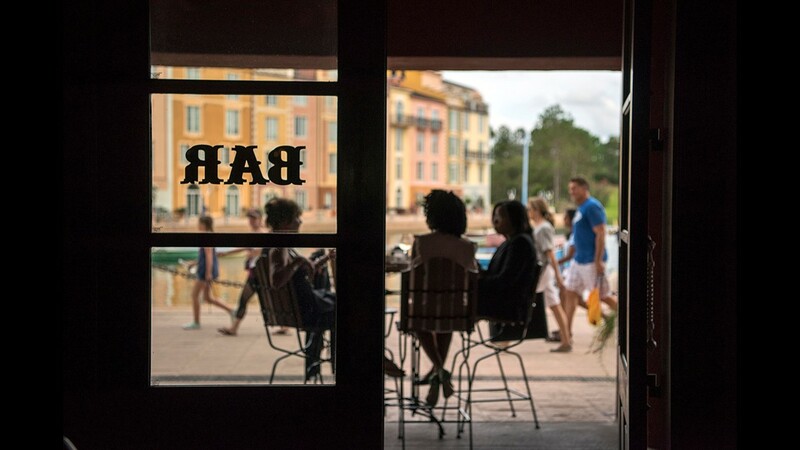 Customers unwind at the Thirsty Fish at Loews Portofino Bay, which feels a continent away from the buzz of Universal Orlando. The waterfront bar offers champagne, wine and beer as well as assaggini, or small plates of seafood, meats and cheeses. 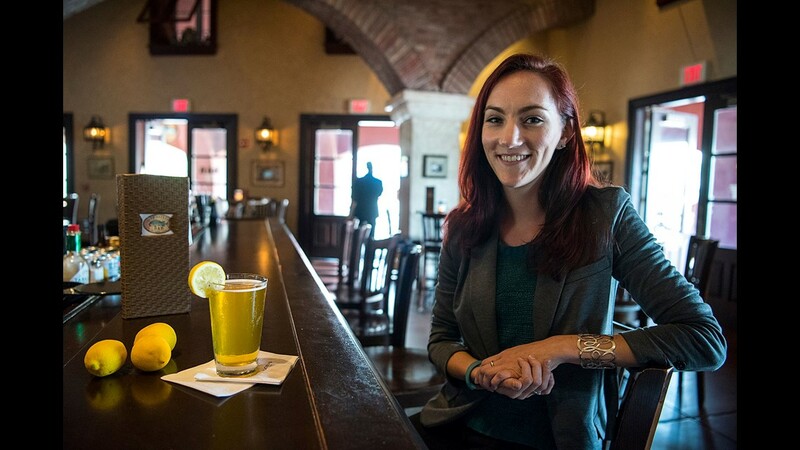 Emily Brant, assistant beverage manager of the Thirsty Fish at Loews Portofino Bay, bellies up to the bar beside a Limone Di Genoa, otherwise known as a lemon basil cider. "It's a true Italian cider made from Genoa lemons grown in Florida," Brant says. 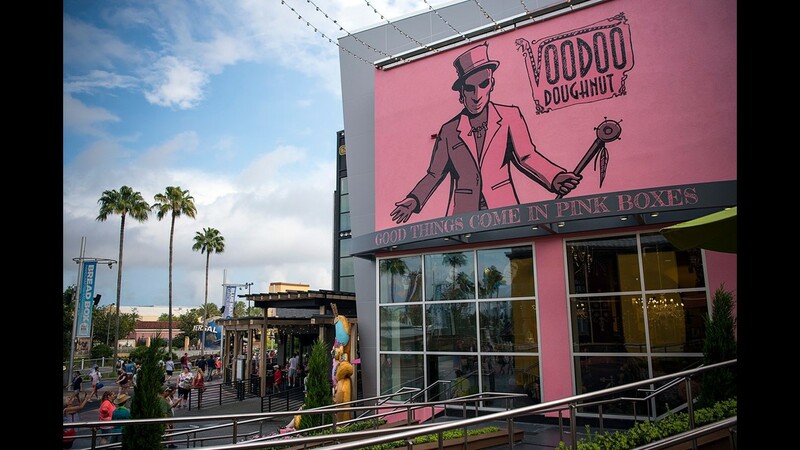 One of the newest dining options at Universal CityWalk is Voodoo Doughnut, the niche bakery from Portland, Ore., that's gaining notoriety nationally for its whimsical sweet treats. Voodoo opened at CityWalk in March. 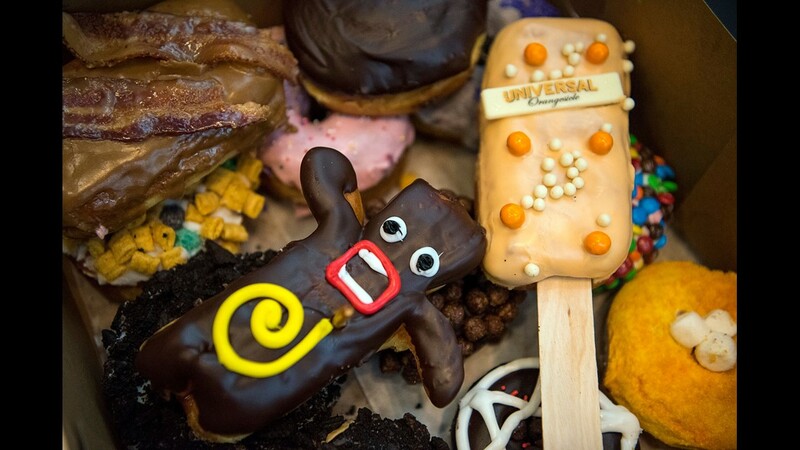 Voodoo Doughnuts are sold in pink boxes and come in all sorts of novel flavor profiles and vestiges, including bacon, breakfast cereal and the signature voodoo doll. The bakery whipped up a flavor just for Orlando, an orange-flavored doughnut on a stick. 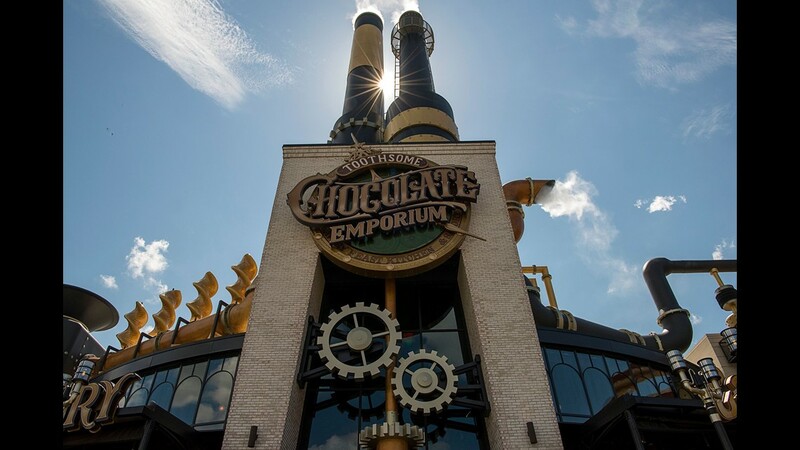 The Toothsome Chocolate Emporium & Savory Feast Kitchen is a combo restaurant/chocolate shop with a steampunk vibe. 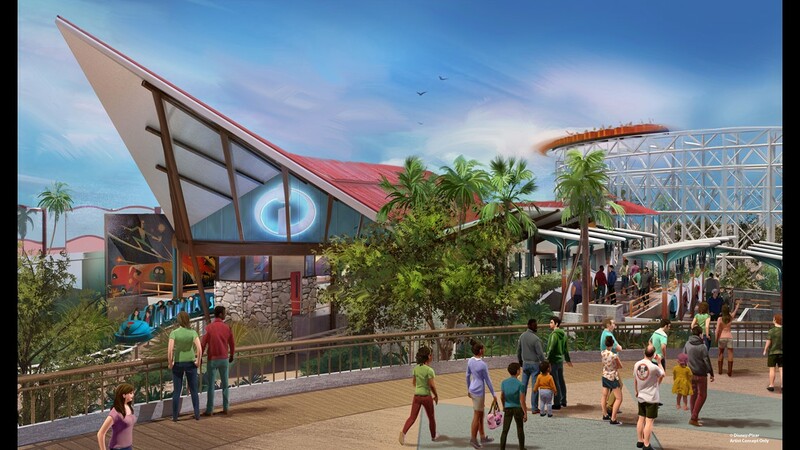 It presents a striking profile at Universal CityWalk Orlando, the entertainment district between the Universal Studios Florida and Universal's Islands of Adventure theme parks. 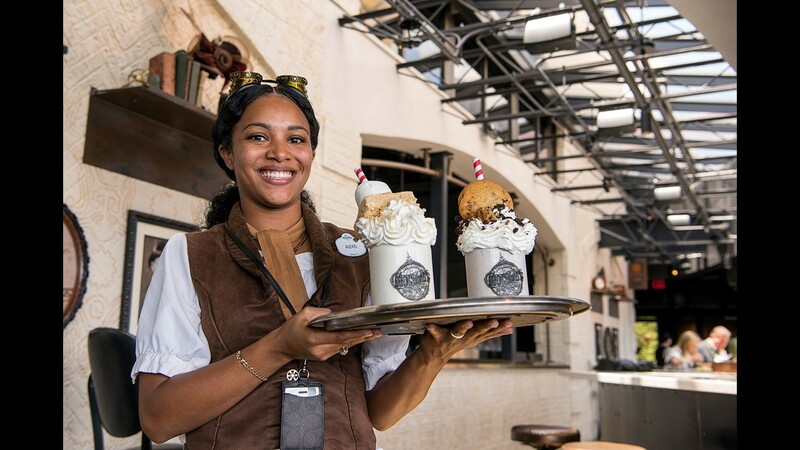 Alexis Thompson, a server at Toothsome Chocolate Emporium, displays two of the eatery's gargantuan milkshakes that highlight the menu. The Marshmallow Crisp includes a Kellogg's Rice Krispies treat, and the Cookie Jar includes cookie crumbles and a whole cookie. Toothsome's Tour de France burger features a half pound burger covered with lettuce, roasted tomatoes, avocado, crispy onions, brie cheese and a sunny-side-up egg. It comes on a brioche bun and is served with a side of house-made chips. 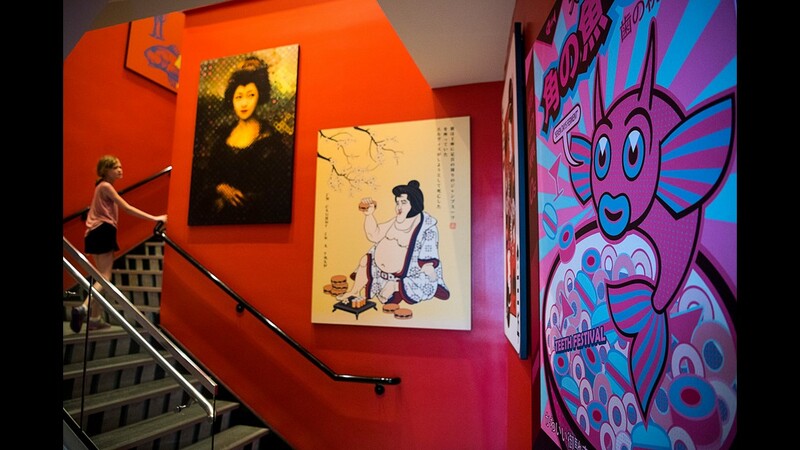 The Cowfish Sushi Burger Bar at Universal CityWalk serves -- not surprisingly -- burgers and sushi in a festive atmosphere. Meat and fish can be enjoyed separately or together, in creative ways. The Cowfish Sushi Burger Bar is known for a unique plate called Burgushi, which includes burgers and sushi. 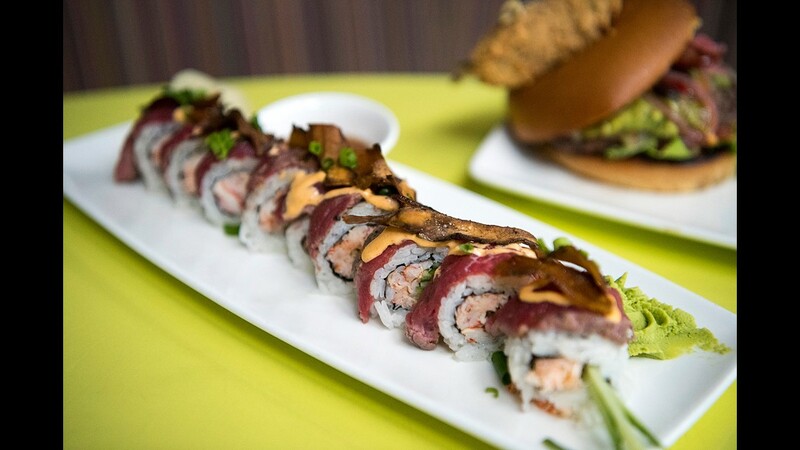 Here, the Prime Time Filet & Lobster Roll combines lobster and cucumber sushi with seared, seasoned filet mignon; pan-fried portabella mushroom slices tossed in truffle oil; green onions; and spicy mayonnaise. Cool cocktails are a prime draw at Dancing Dragons Boat Bar, within a few steps of the 200-foot-tall Krakatau volcano that serves as the water park's centerpiece. While your friends are throttling down the terrifying Ko'okiri Body Plunge, indluge in the tropical goodness of a well-made cocktail. 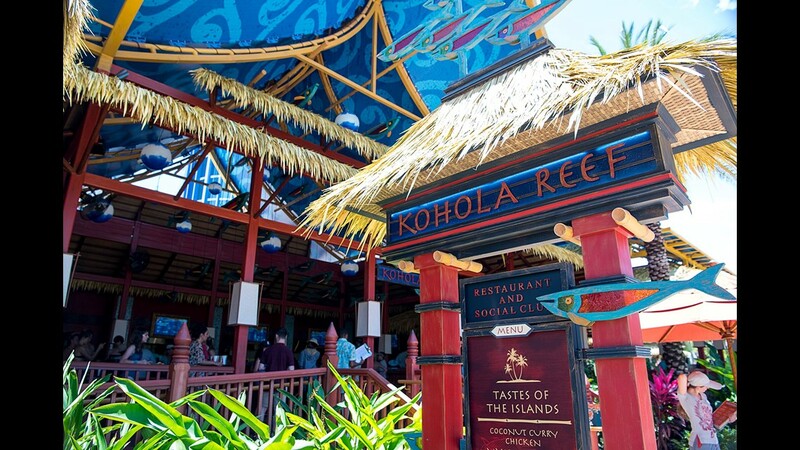 Open for about a year, the Kohola Reef Restaurant & Social Club is the main eatery at Universal's Volcano Bay water park. It features flavors of the Pacific islands, with some all-American favorites, such as pizza and burgers, included. 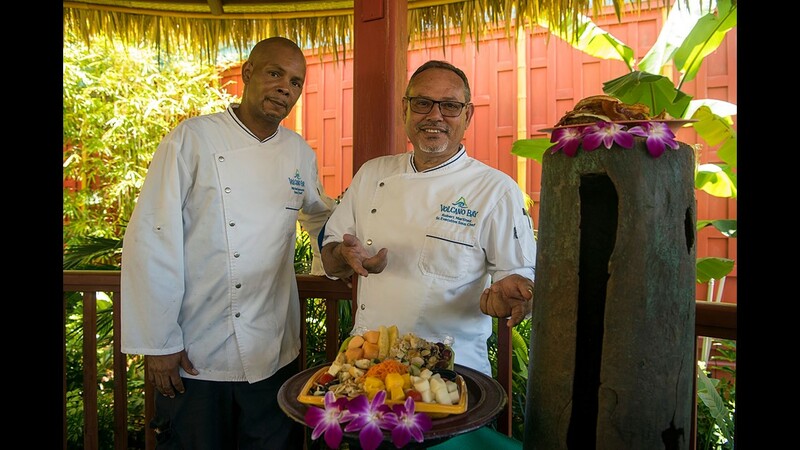 Senior executive sous chef Robert Martinez, right, and sous chef Michael Samuels show off two of the salads available at Kohola Reef Restaurant at Universal's Volcano Bay. 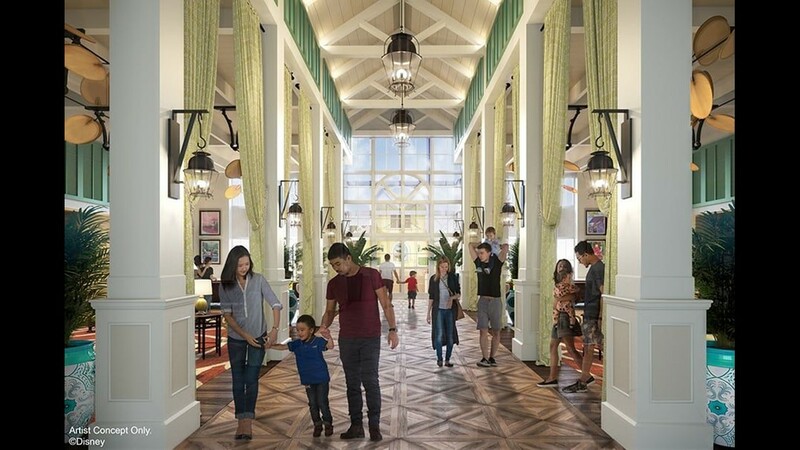 The casual menu features such items as a jerk mahi mahi sandwich, tropical fruit salads and coconut-crusted fried chicken, with an extended menu for guests who rent cabanas at the water park. "We've created some unique items that reflect the Pacific islands," Martinez says. 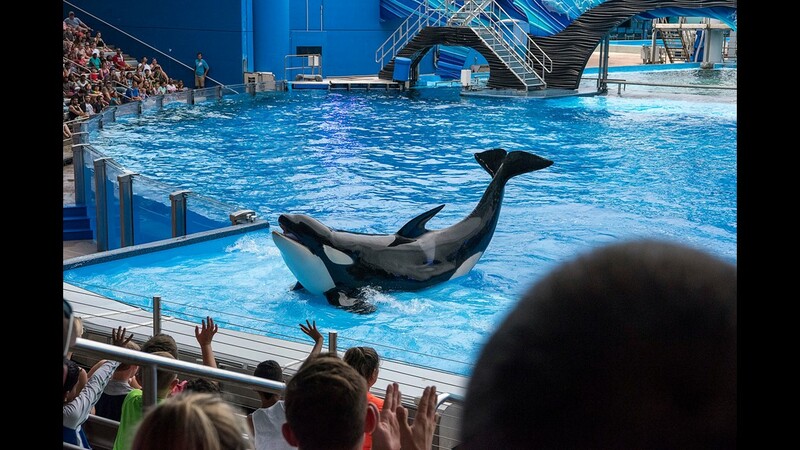 A killer whale appears in the "One World" show at SeaWorld Orlando. 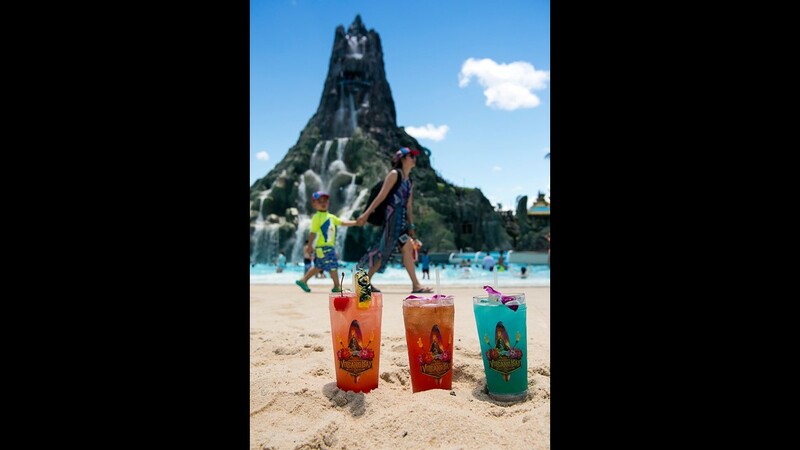 The 45-year-old theme park affords many opportunities to get up close and personal with a variety of sea-related creatures, including dolphins, sharks, penguins, stingrays, turtles and pelicans. 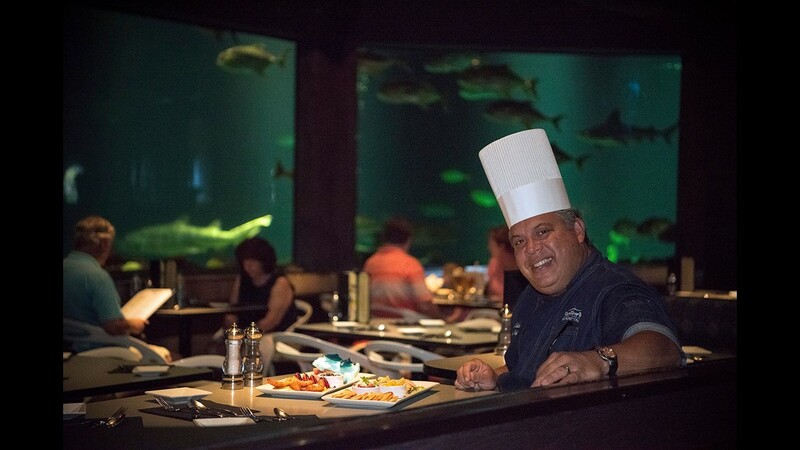 Chef Hector Colon prepares sustainable seafood dishes at Sharks Underwater Grill, a SeaWorld Orlando restaurant set amid a vivid aquarium. Colon says SeaWorld closely follows sustainable guidelines set by the Marine Stewardship Council. "Every week we go to the Seafood Watch in Monterey to see what we can buy. If it's not on the green, I cannot purchase it." 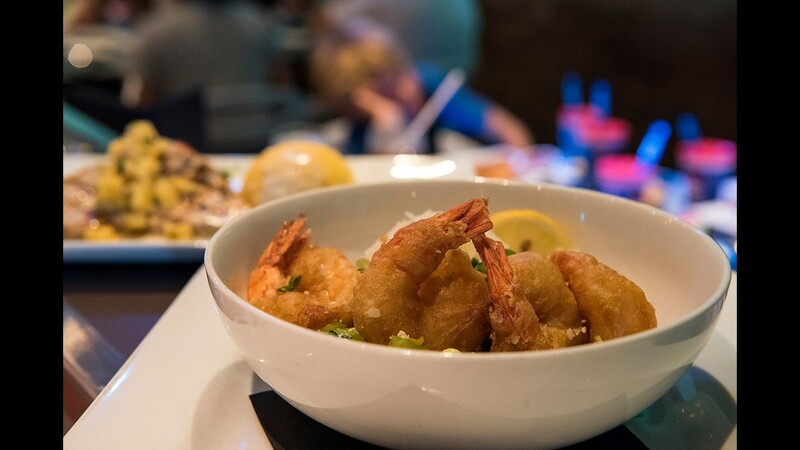 The tempura shrimp at Shark's Underwater Grill is served with bok choy and sticky rice. 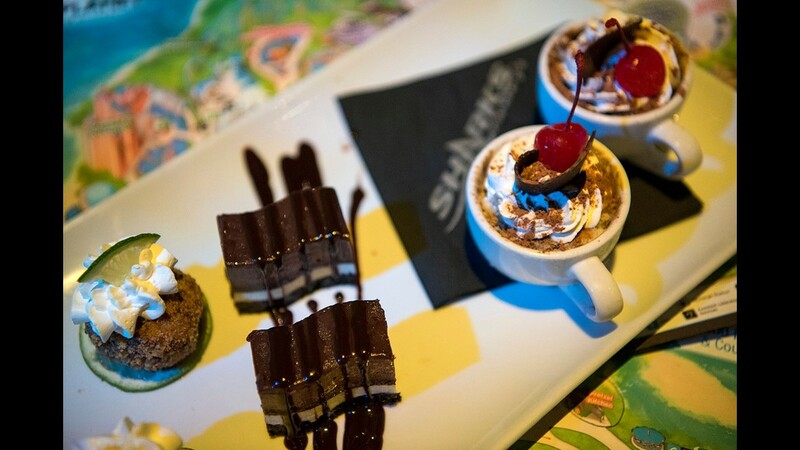 A sampling of desserts at Sharks Underwater Grill. 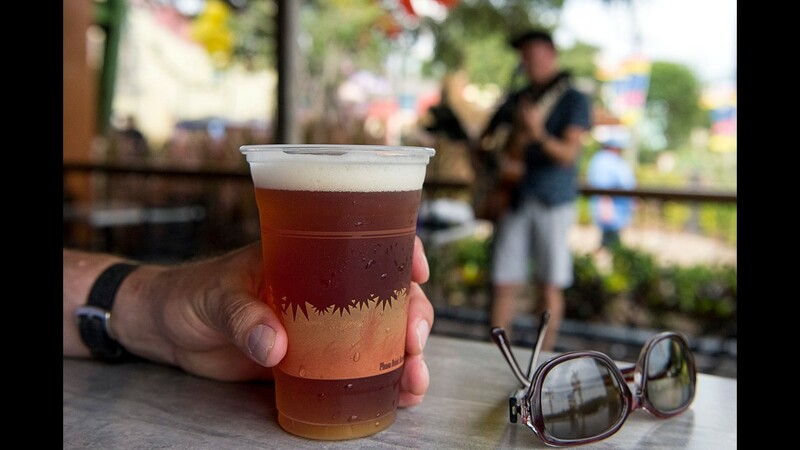 A guitarist plays a relaxing tune at Flamecraft Bar at SeaWorld Orlando. 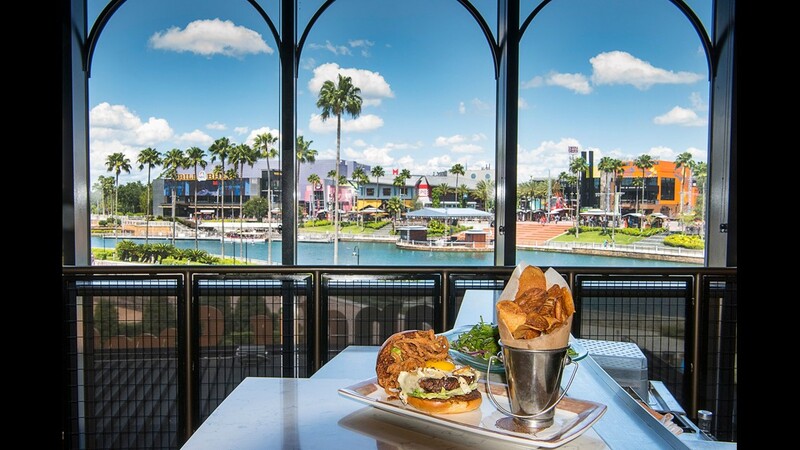 Open less than a year, Flamecraft offers a large patio with waterside seating and a choice of more than a dozen beers on tap, including Florida-made brews. 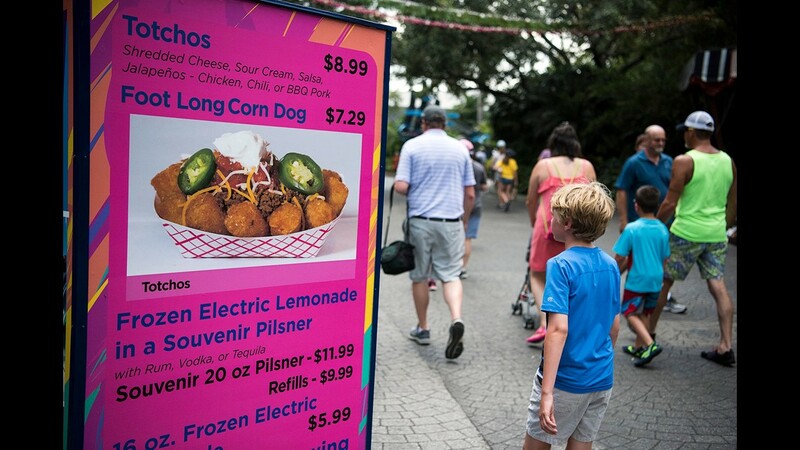 Sure, you can have a foot-long corn dog or frozen electric lemonade at SeaWorld Orlando, but what about Totchos? The unique tater tot/nachos hybrid includes your choice of chicken, beef or pork combined with cheese, lettuce, sour cream, sliced jalapenos and, of course, potato nuggets. 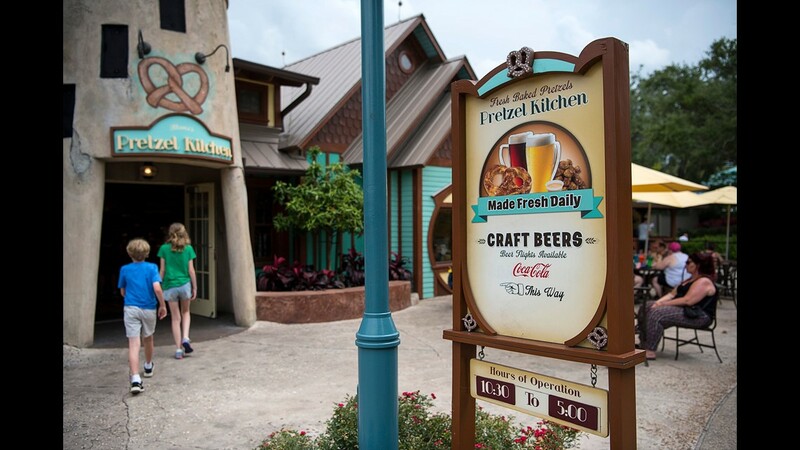 Mama’s Pretzel Kitchen is a great place for a quick snack and a drink if you find yourself hungry near Shamu Stadium. It serves sweet and savory varieties of soft pretzels, including Mama’s Meatball Pretzel Twist, exclusive to SeaWorld Orlando. 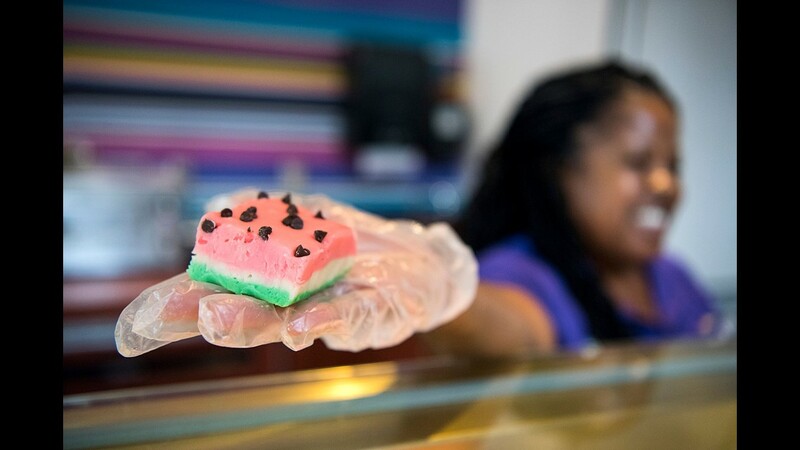 Watermelon fudge is one of the unique treats at SeaWorld’s Sweet Sailin Candy. Here, you’ll find wrapped candies, caramel apples, cotton candy and a host of other sugar-infused bites.